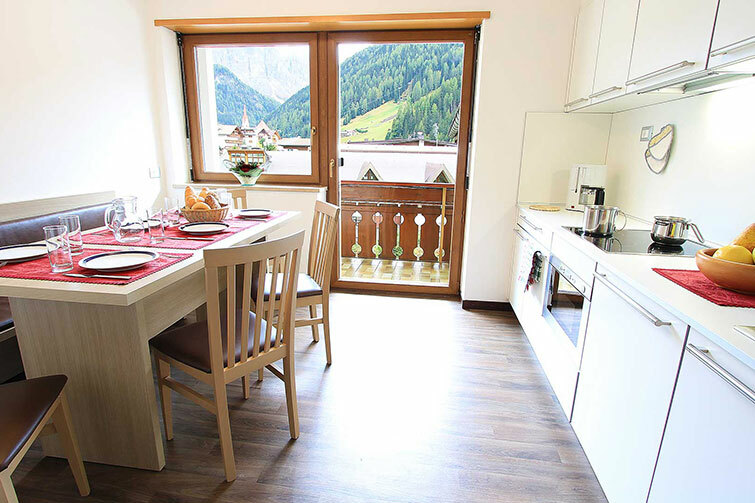 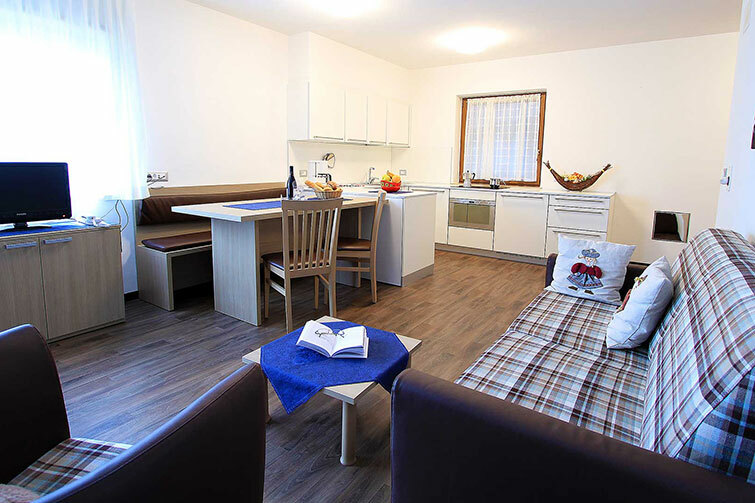 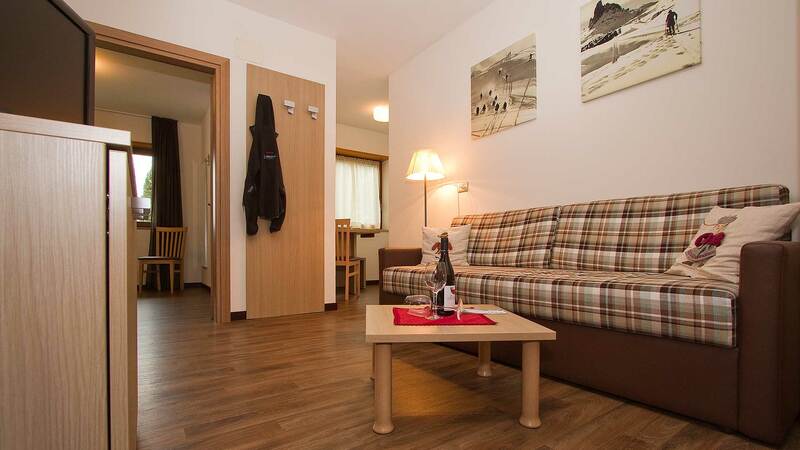 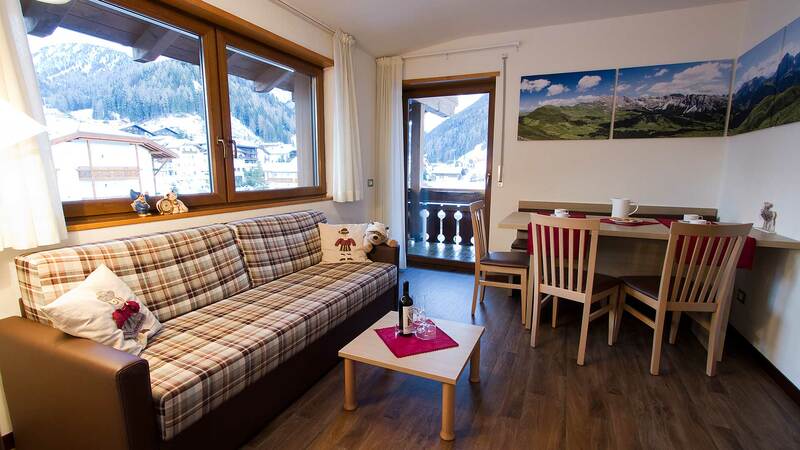 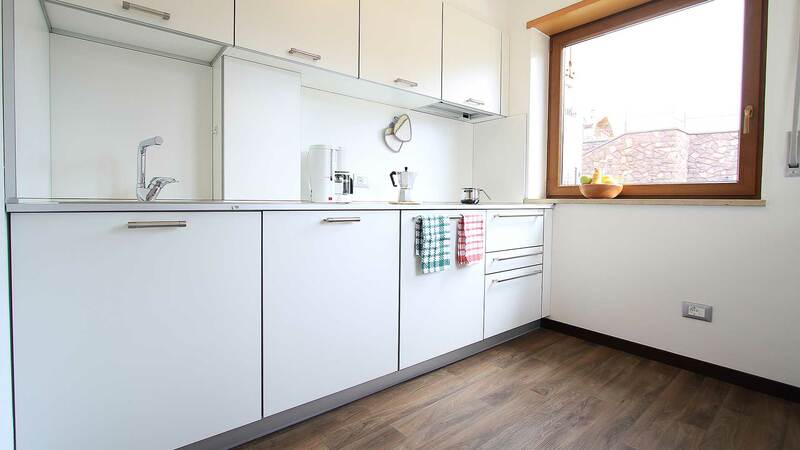 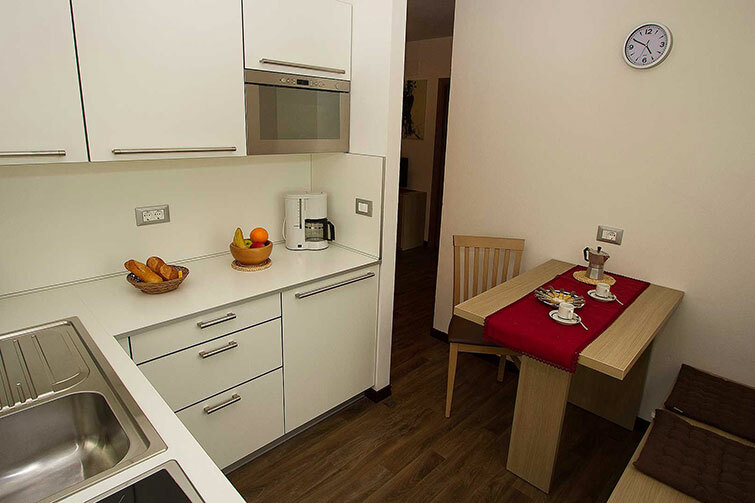 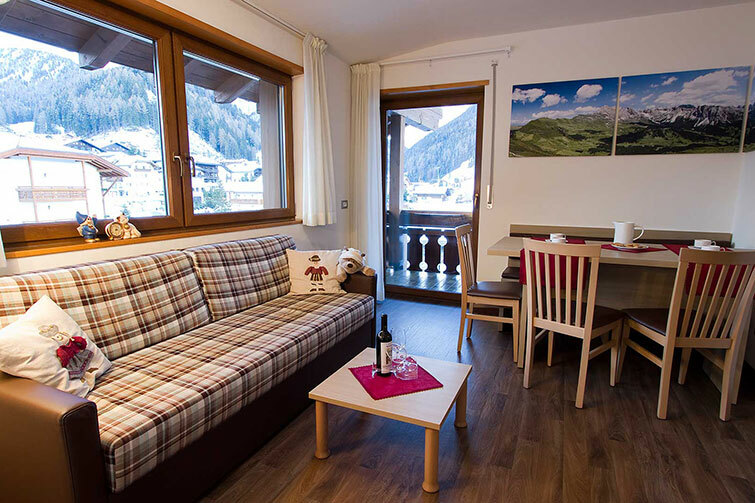 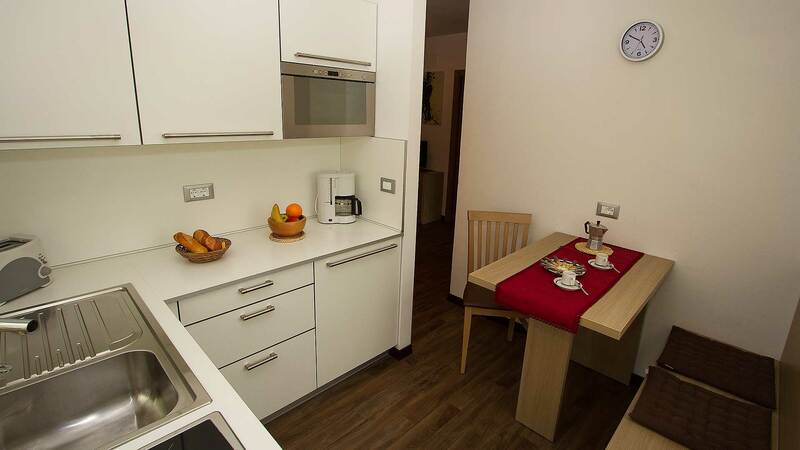 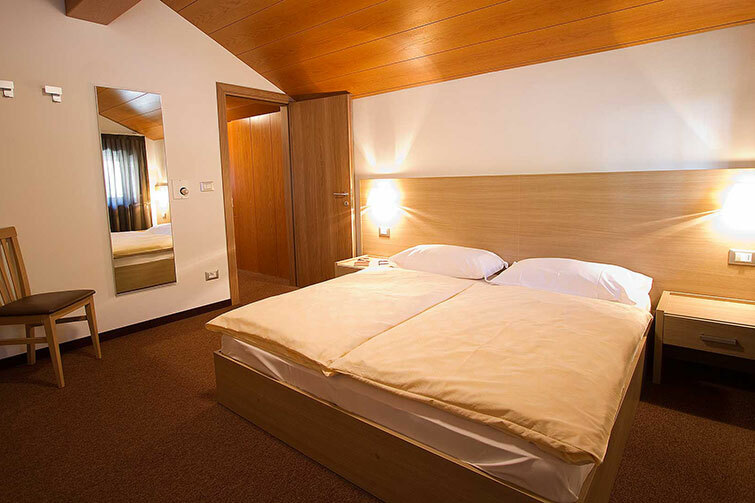 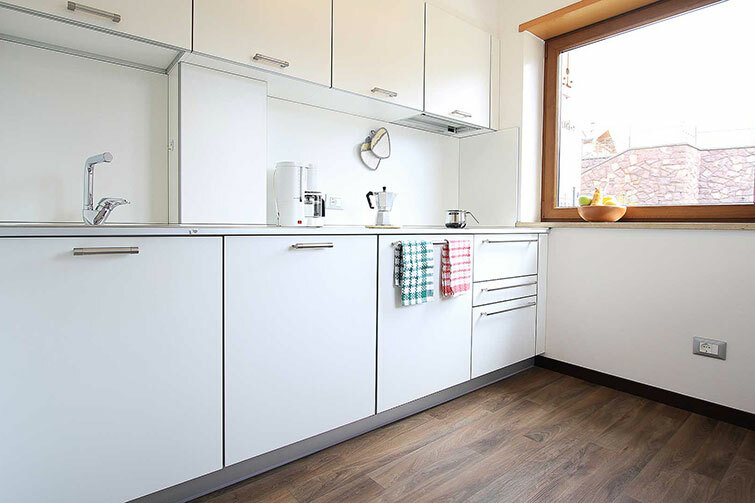 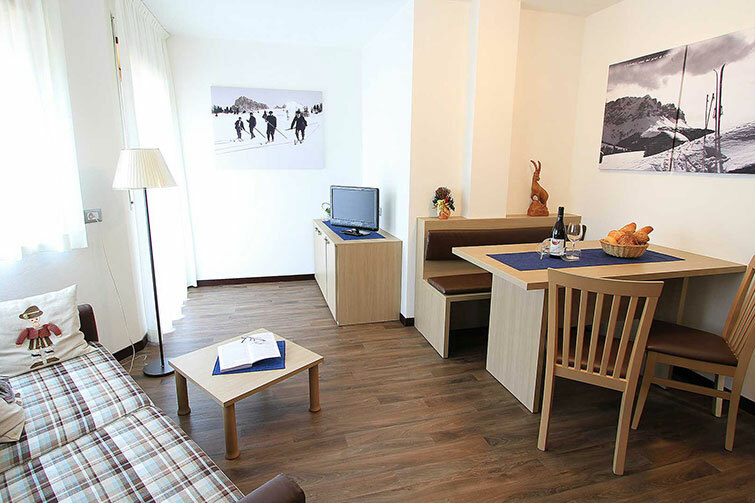 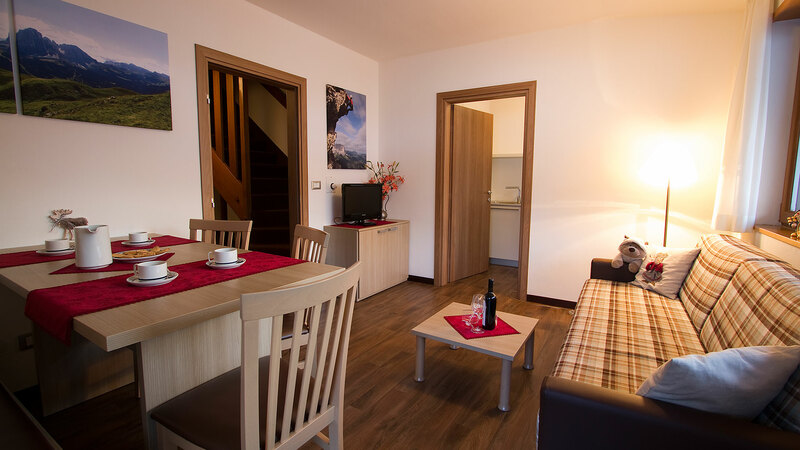 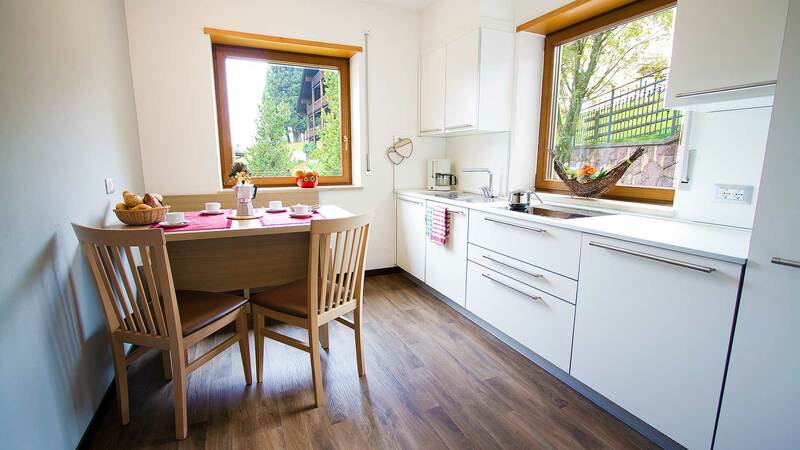 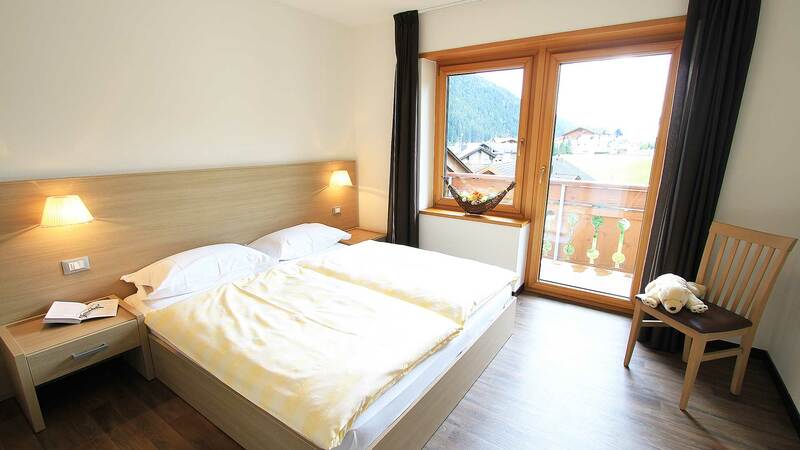 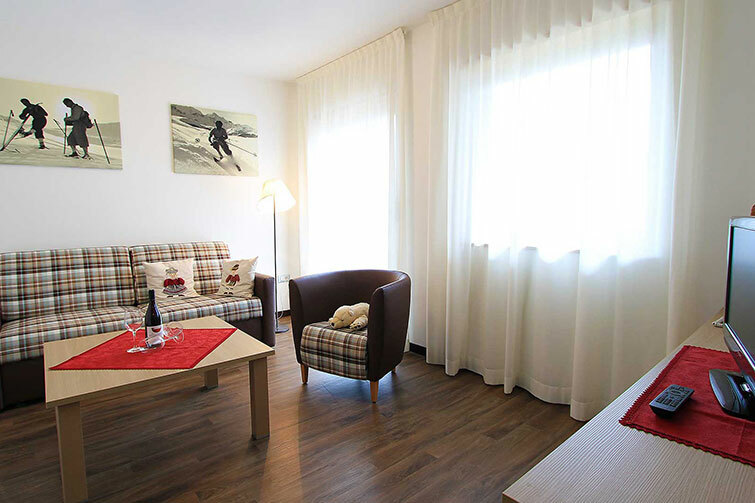 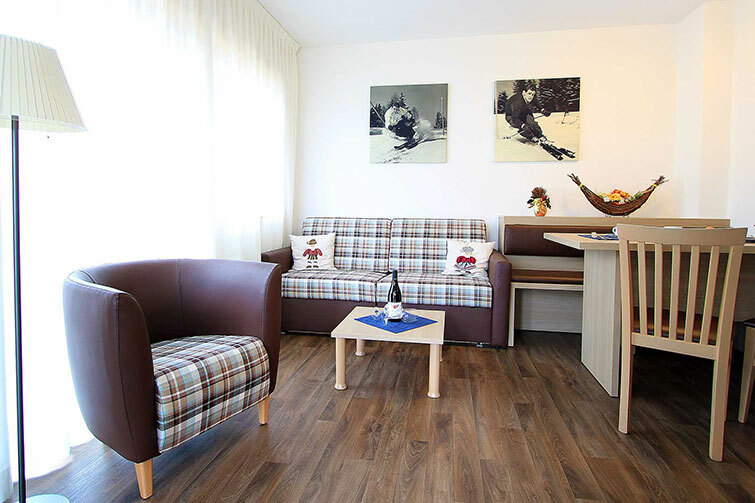 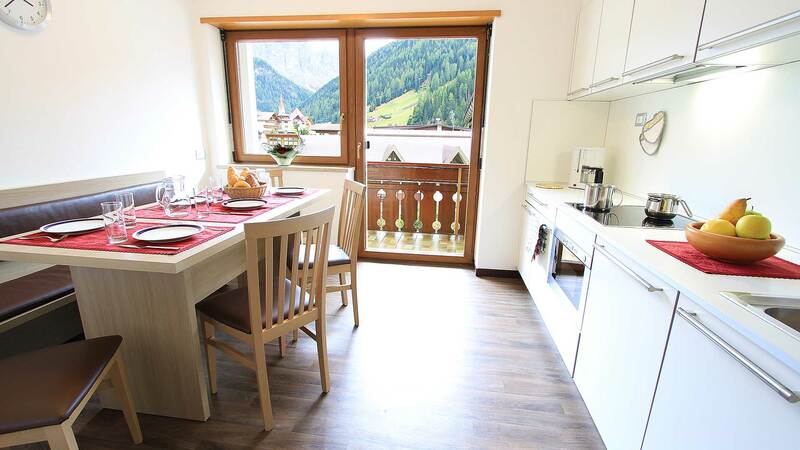 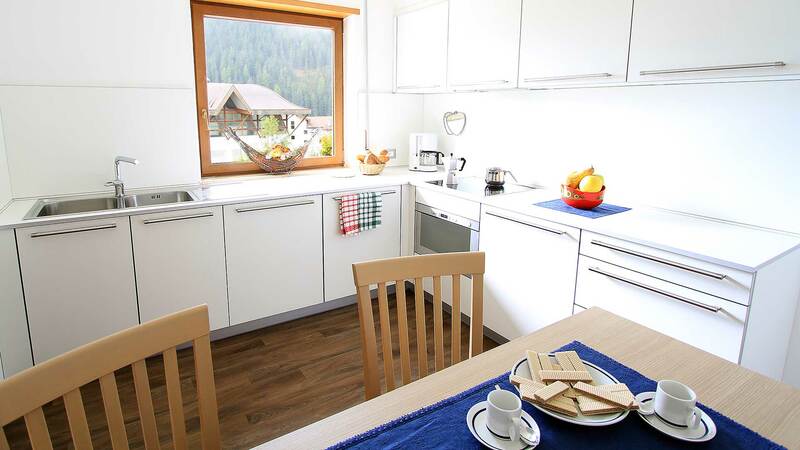 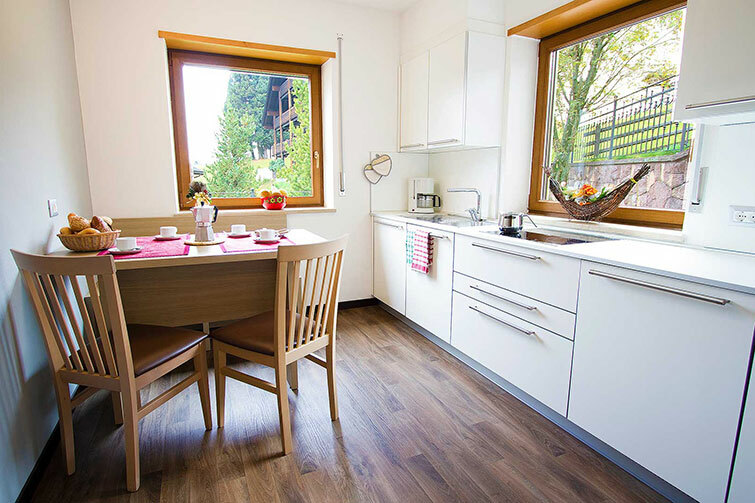 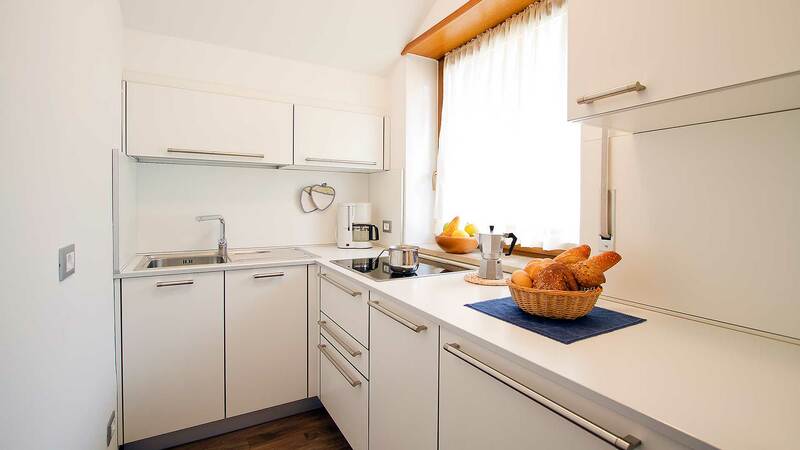 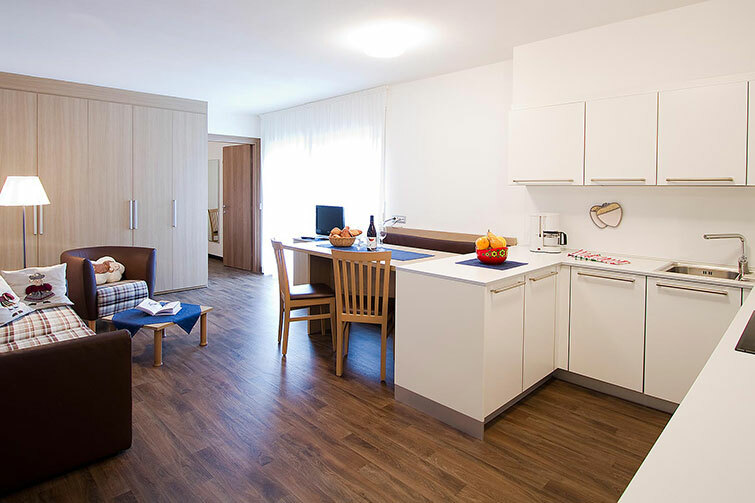 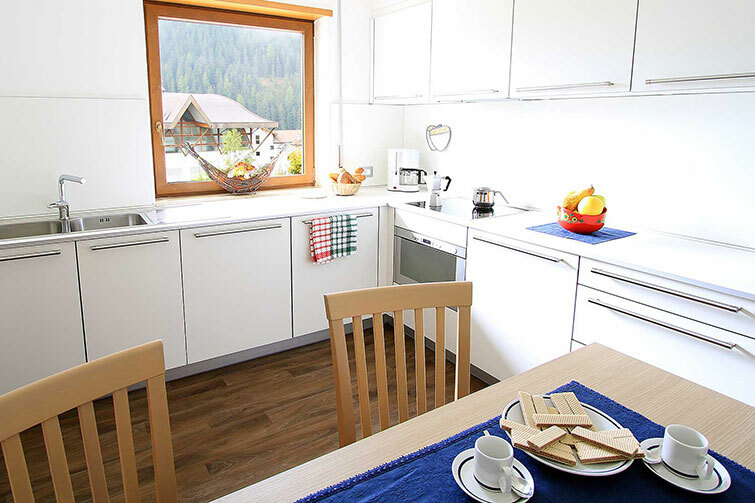 Apartments Residence Ariola in Val Garena lies in a quit and sunny position in the center of Selva, near the footpath, cycle track and the children’s play ground. 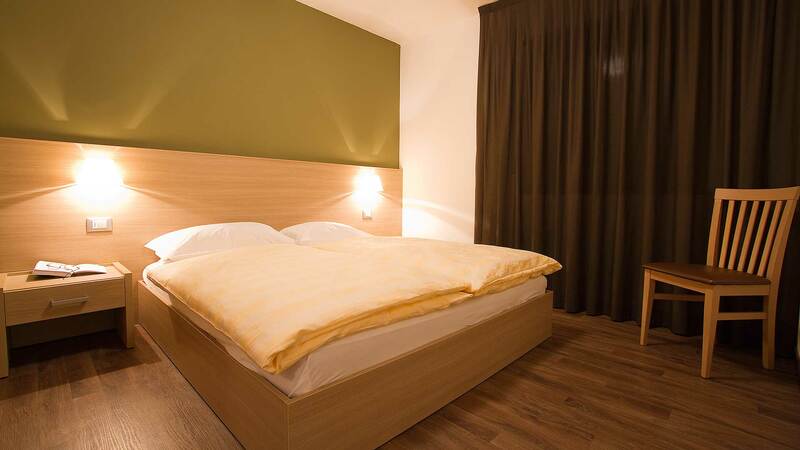 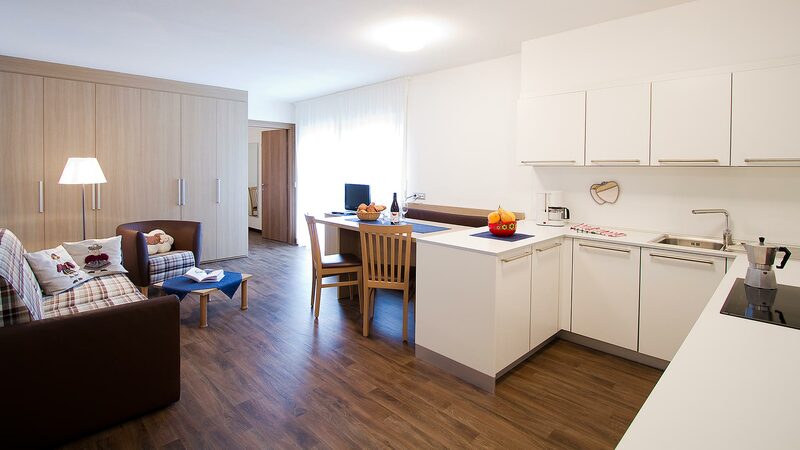 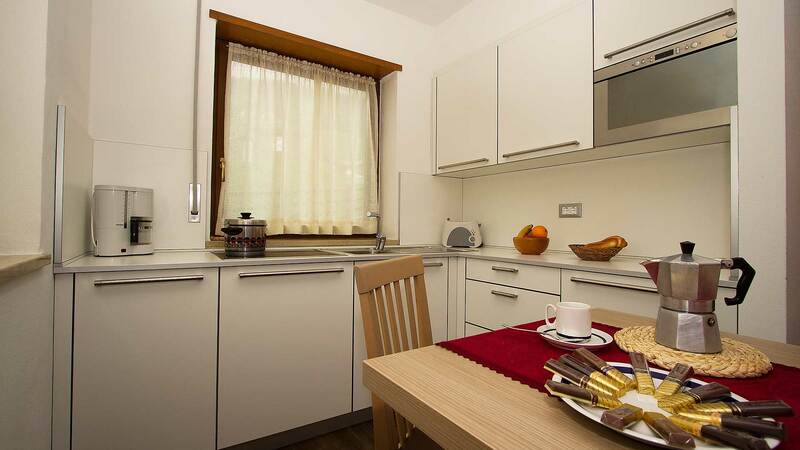 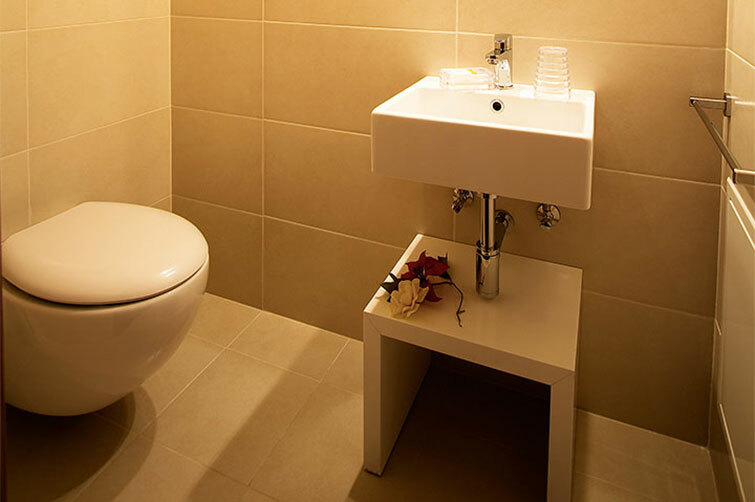 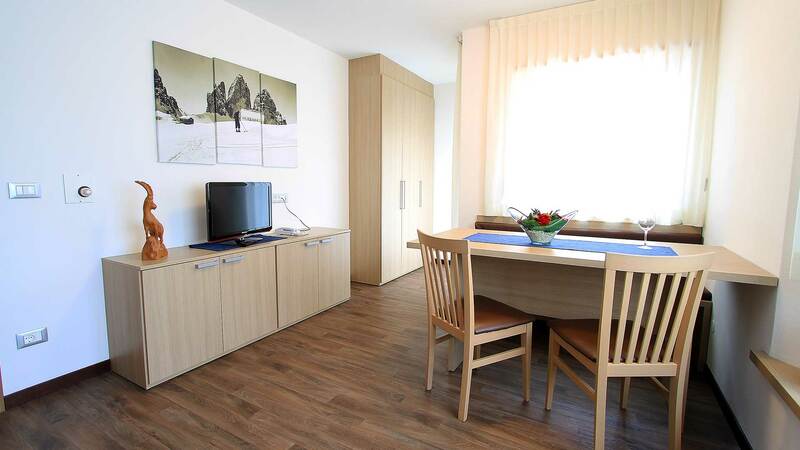 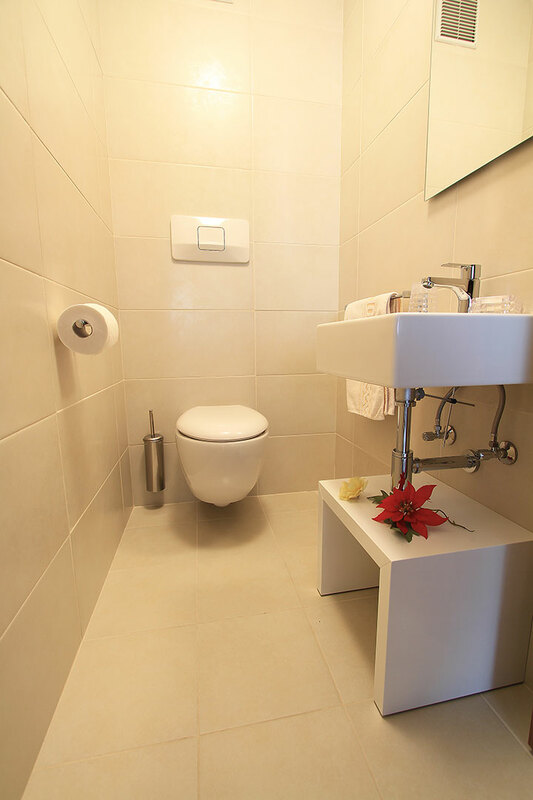 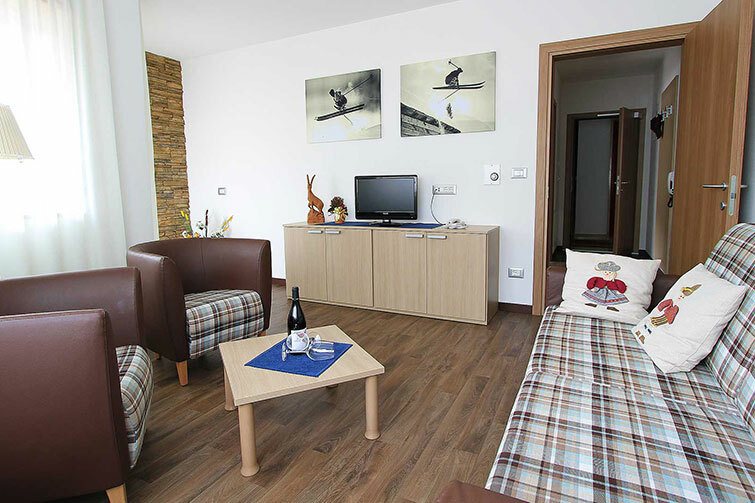 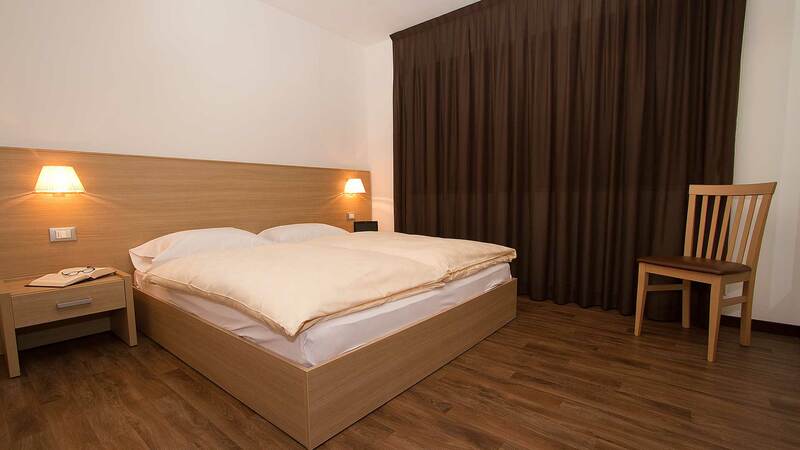 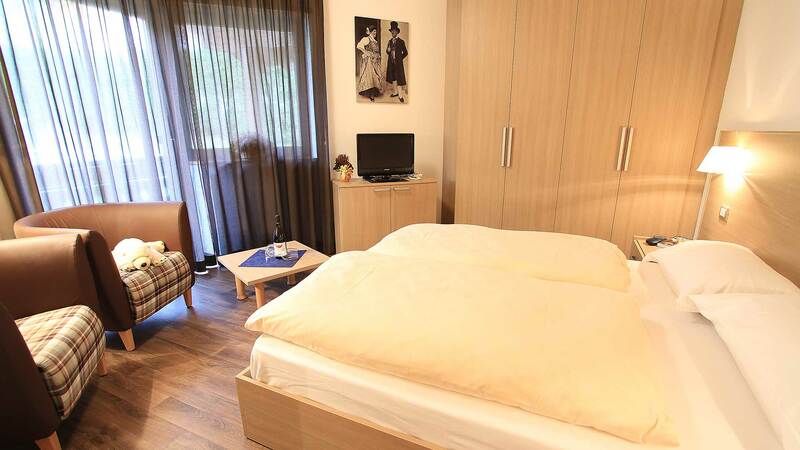 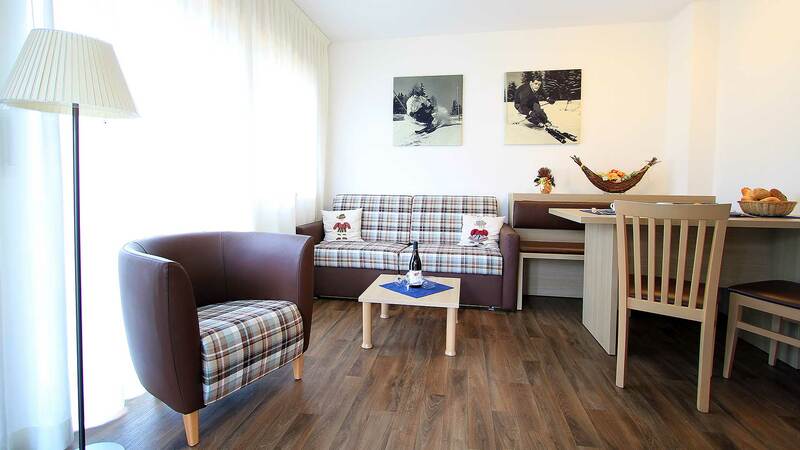 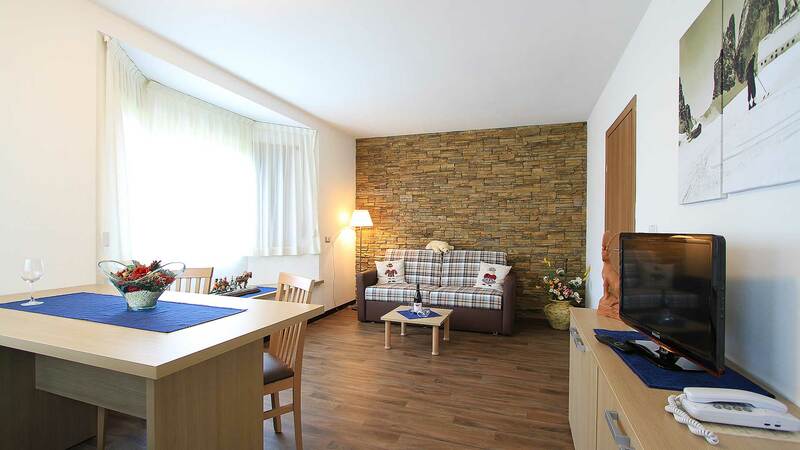 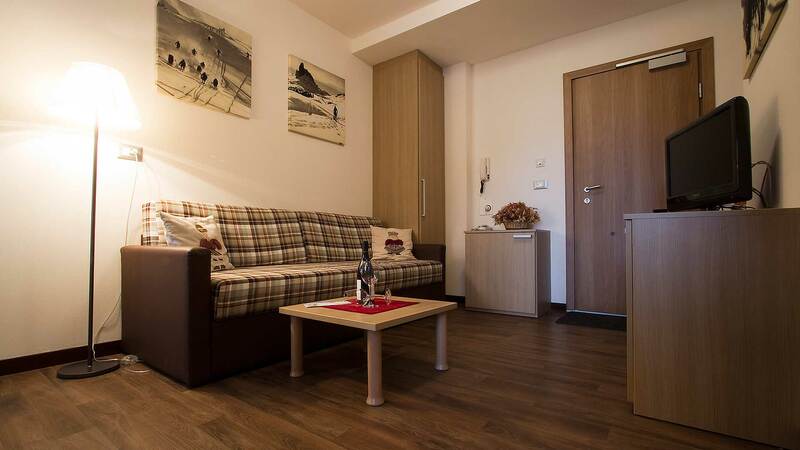 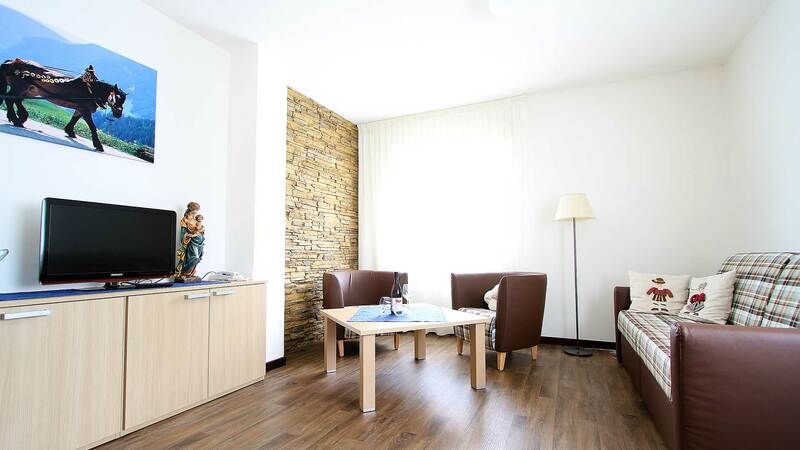 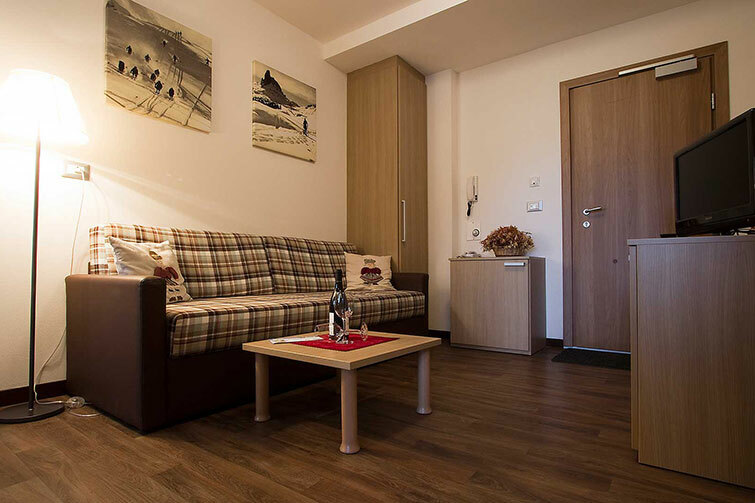 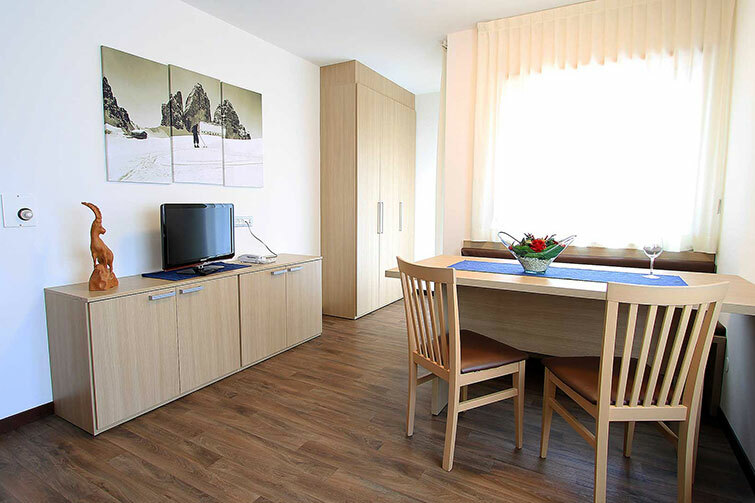 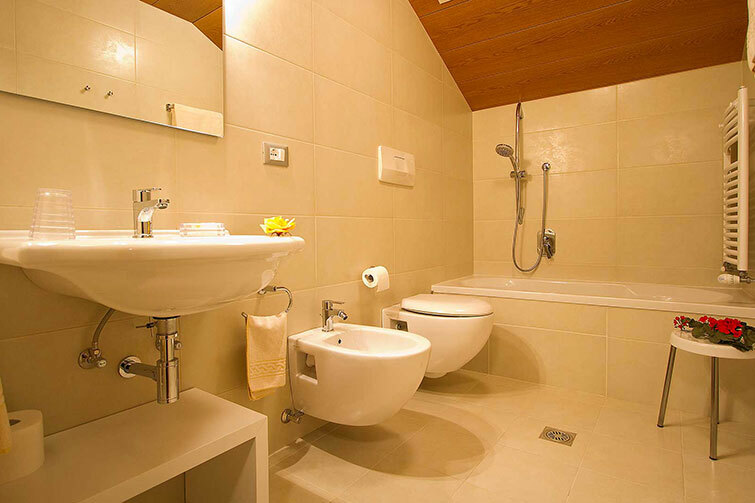 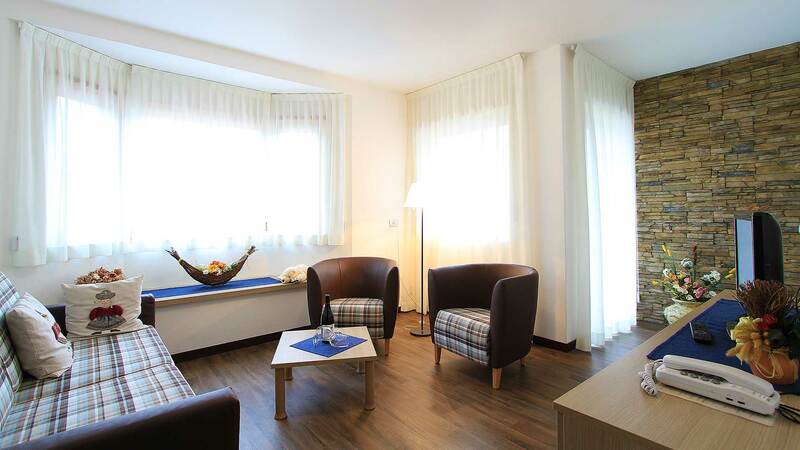 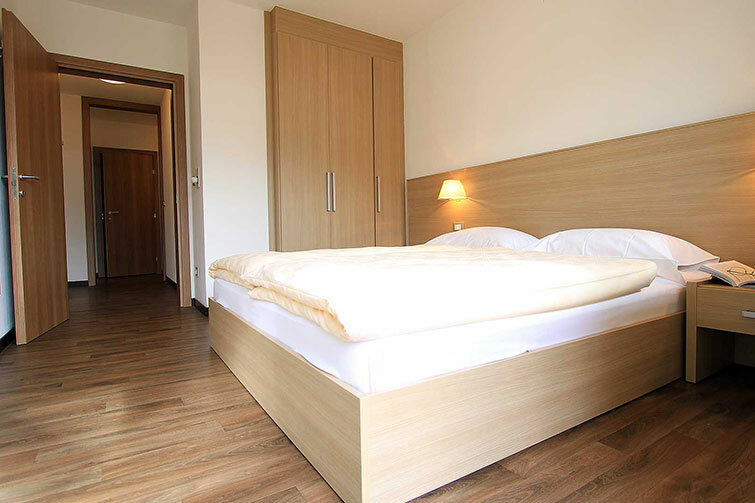 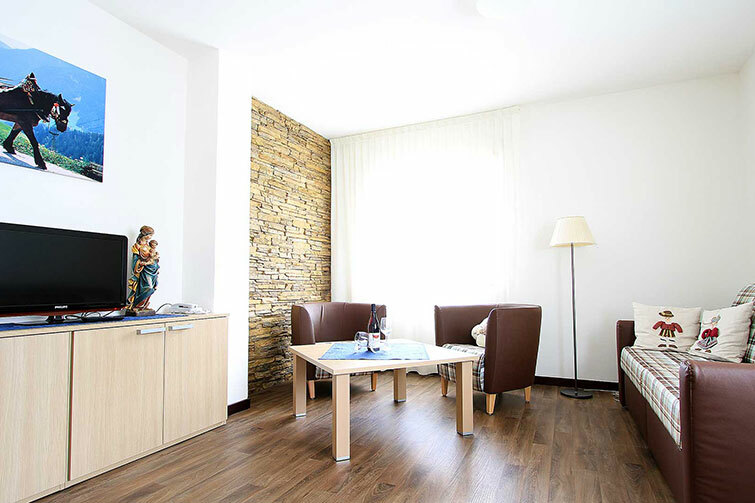 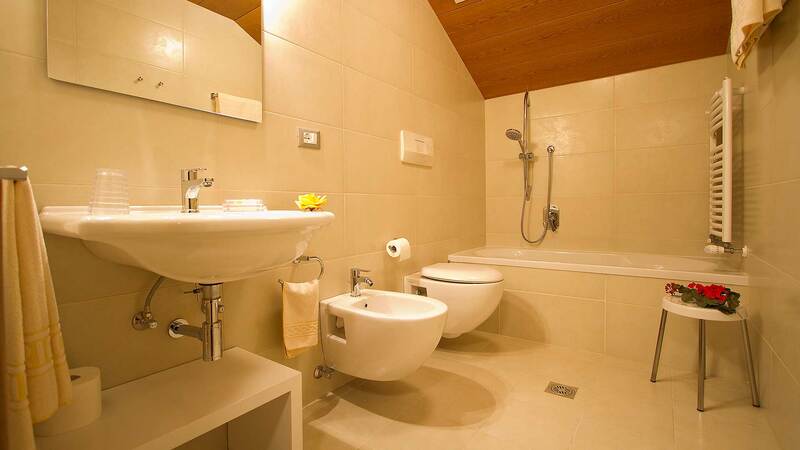 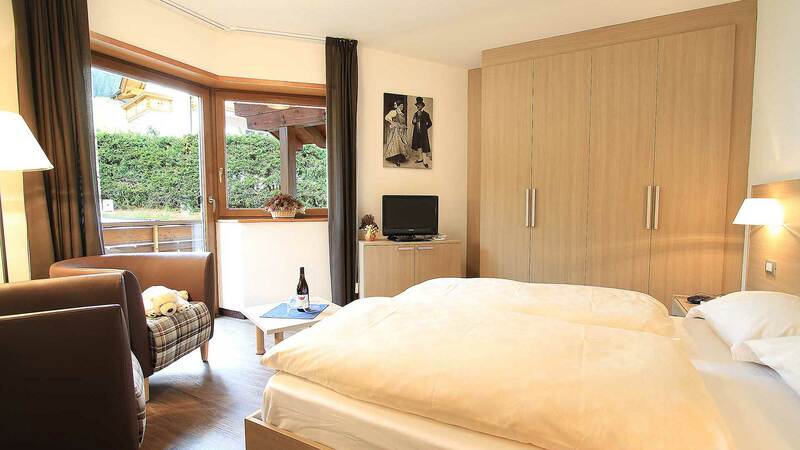 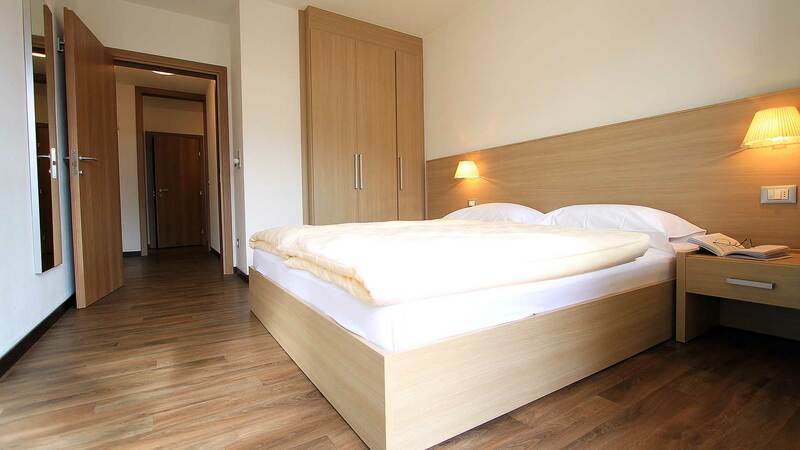 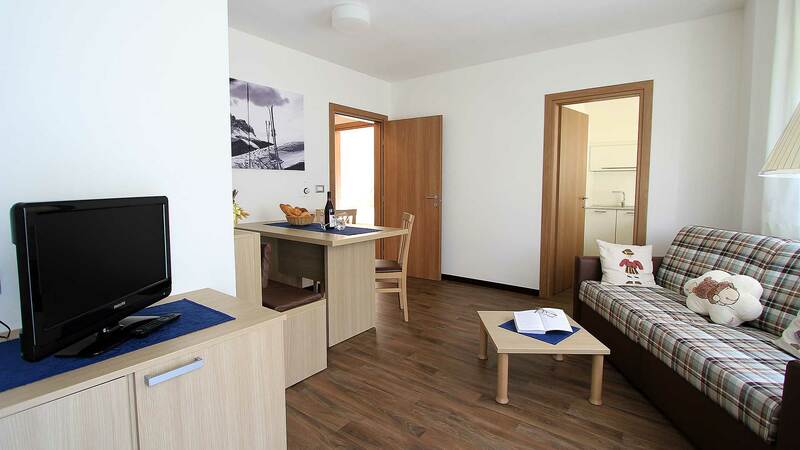 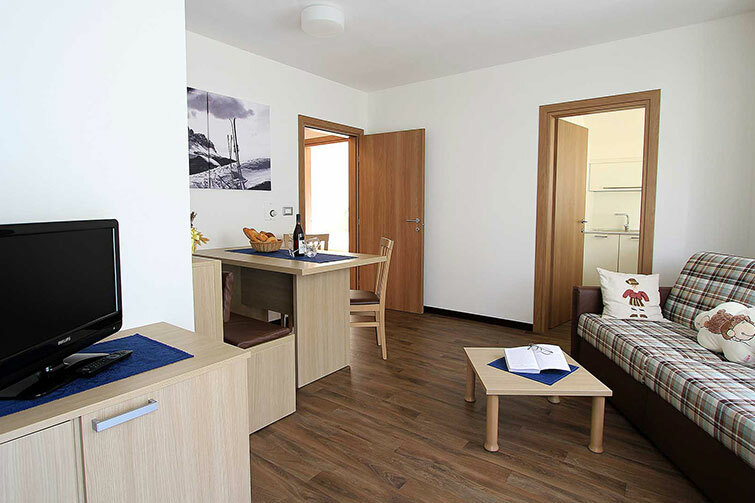 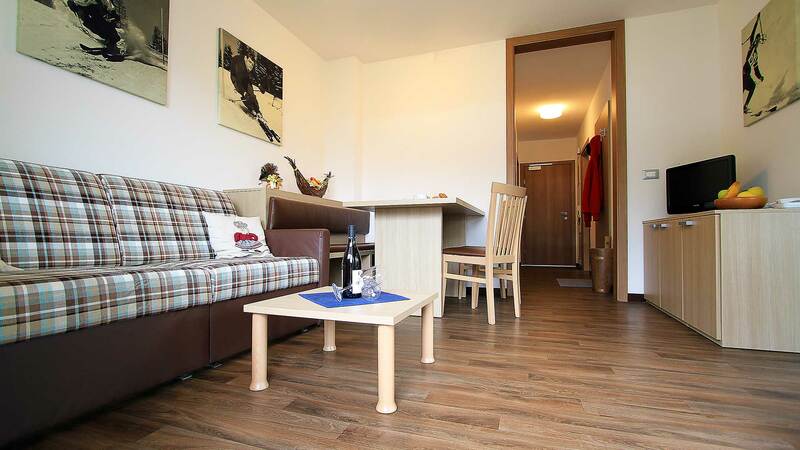 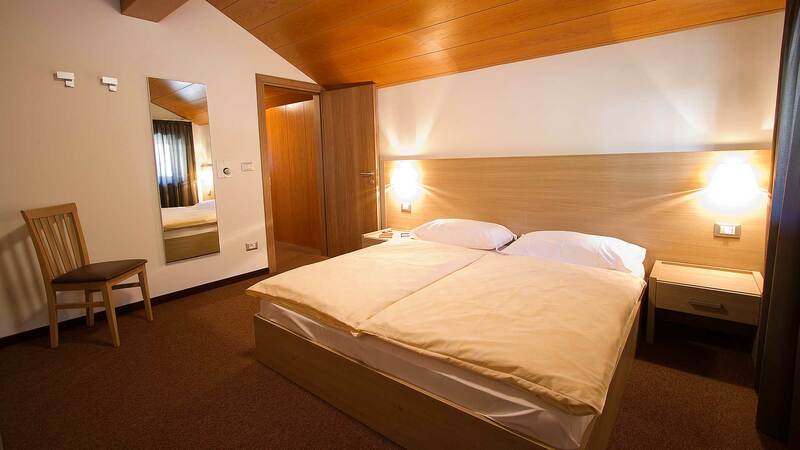 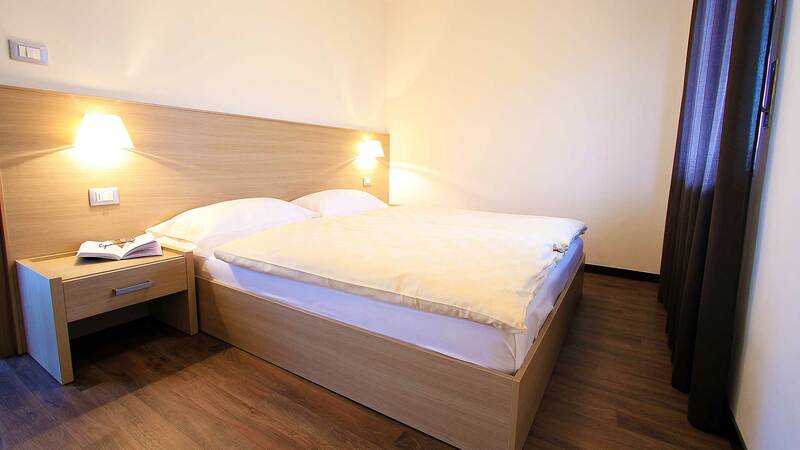 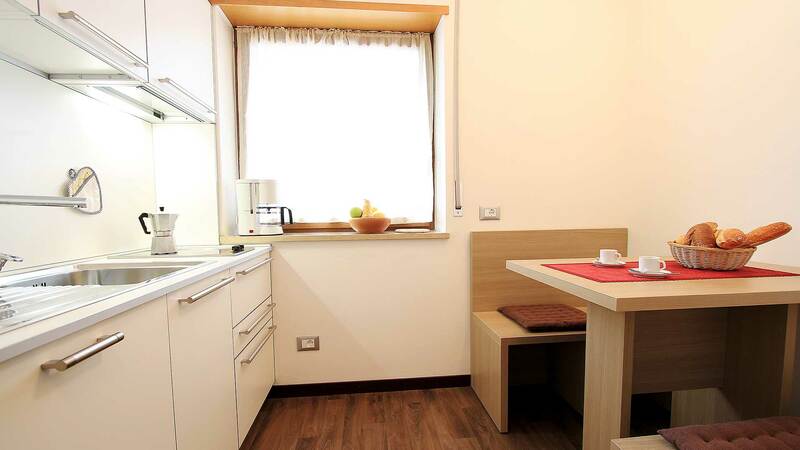 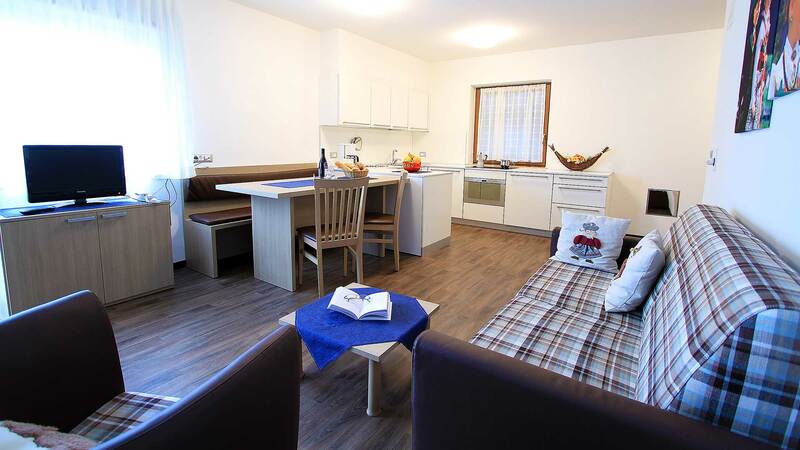 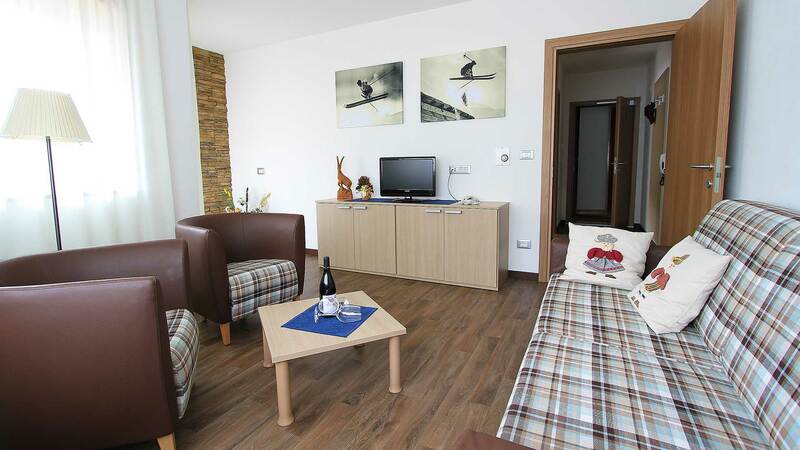 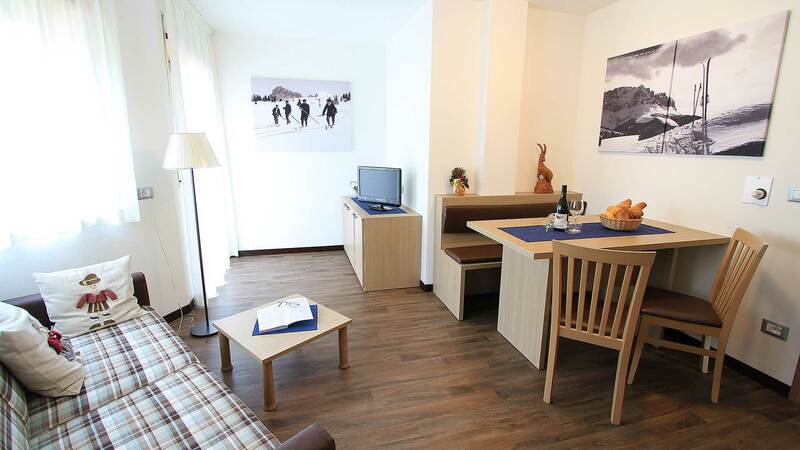 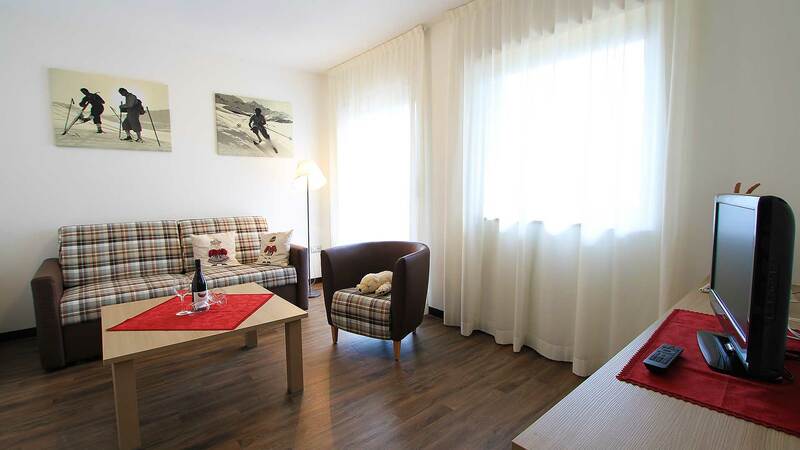 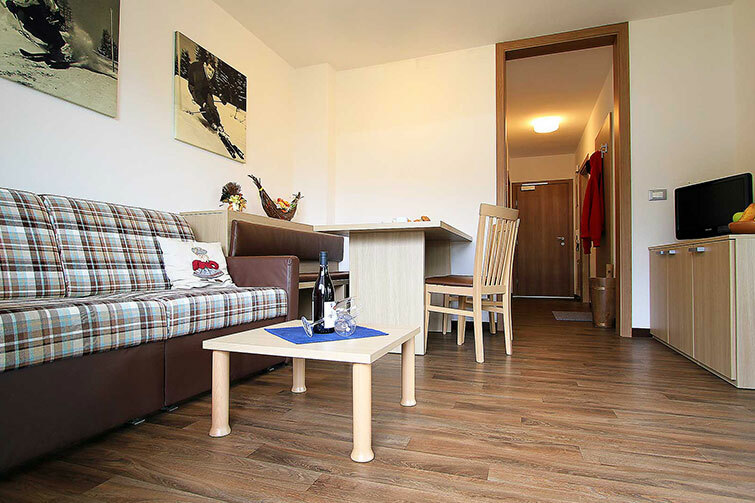 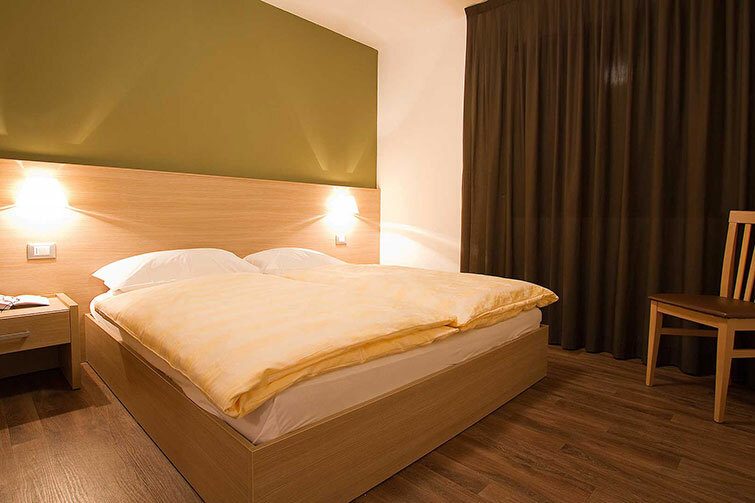 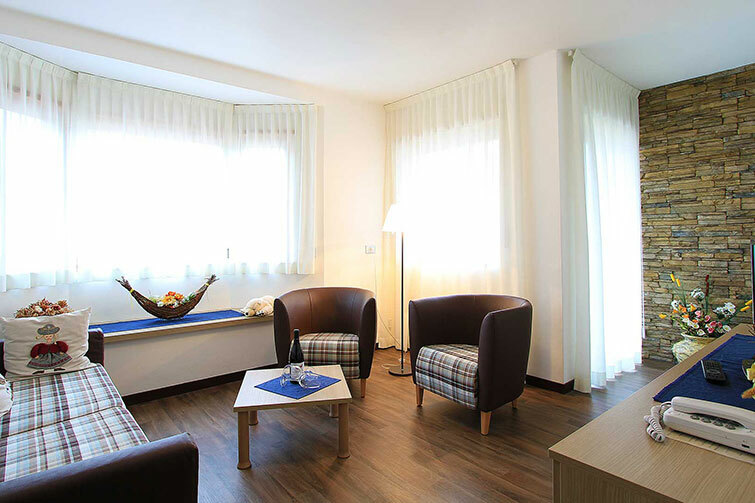 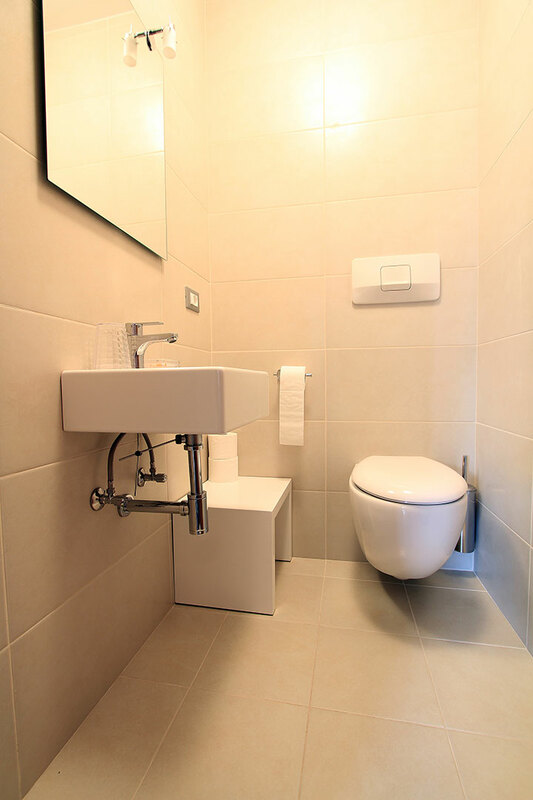 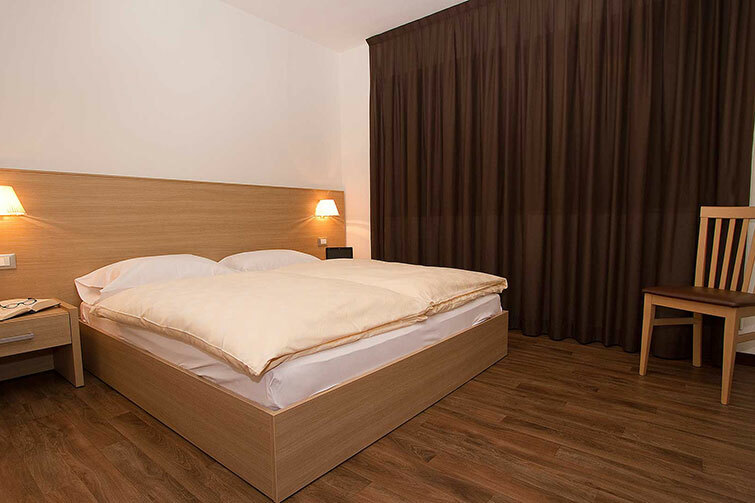 The apartments Residence Ariola offers spacious, comfortable, modern furnishings in wood equipped with comfort. 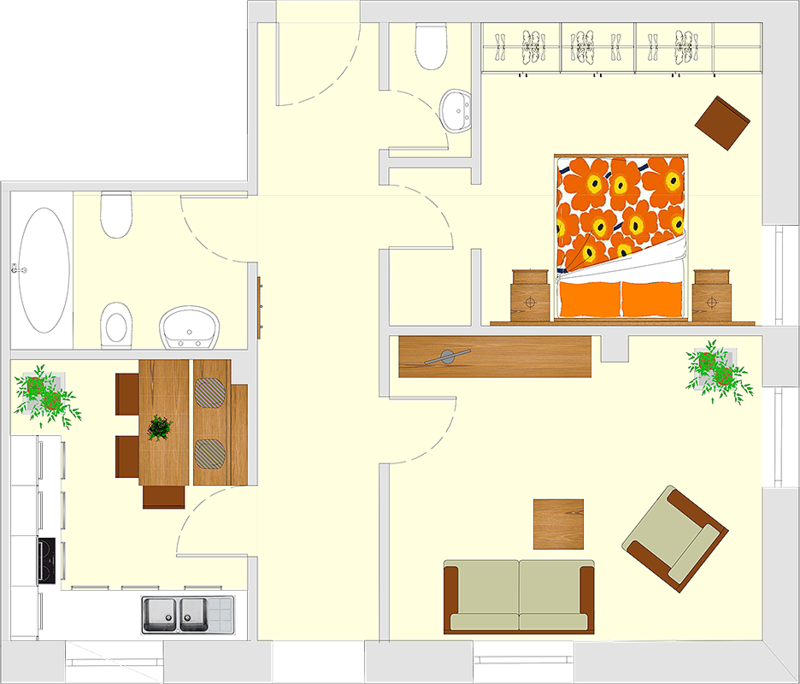 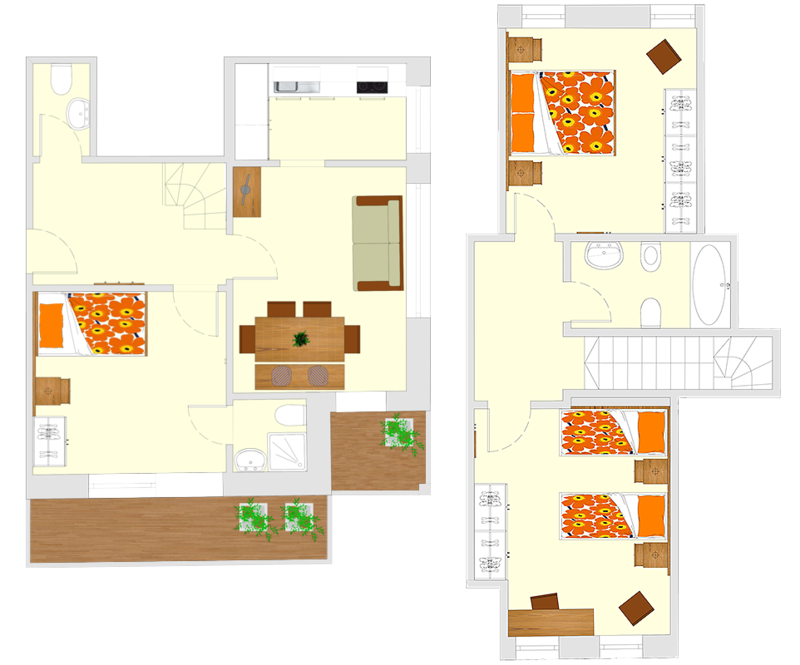 Our home can accommodate 2 to 6 persons. 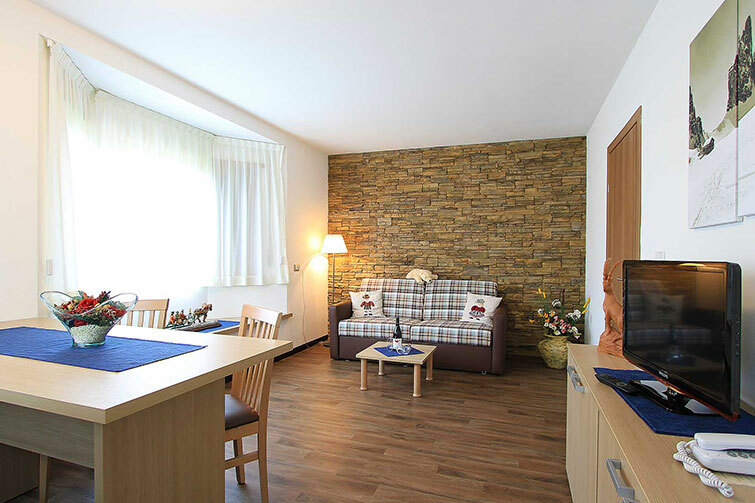 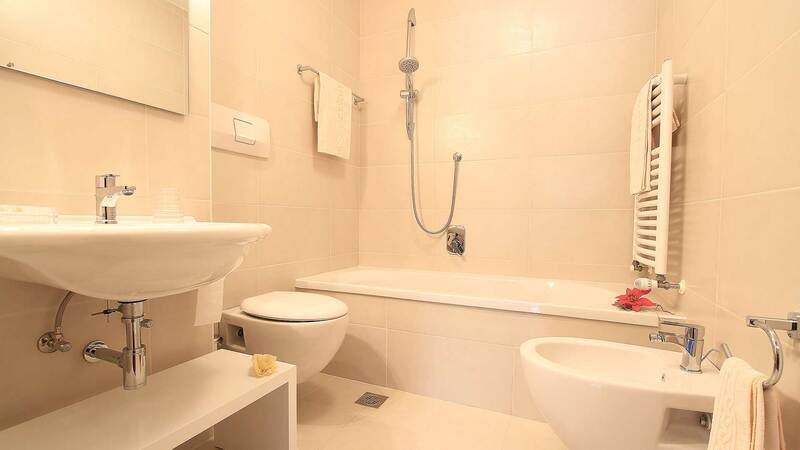 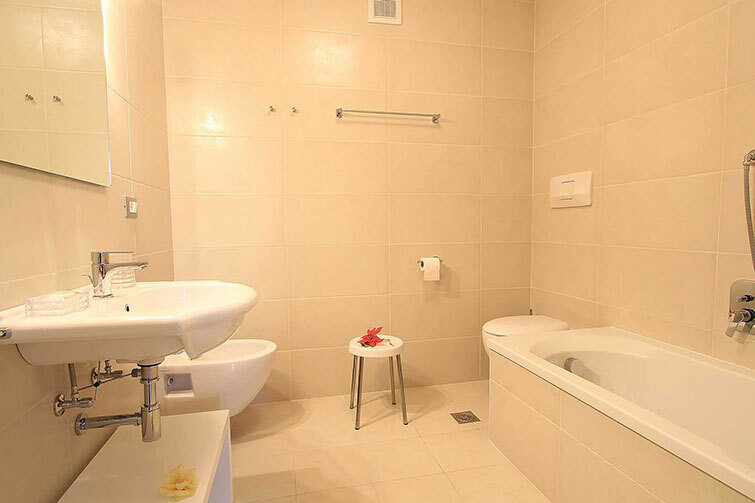 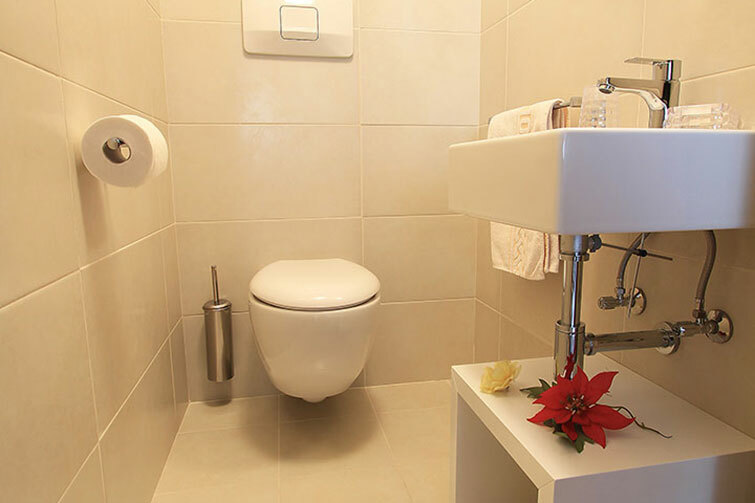 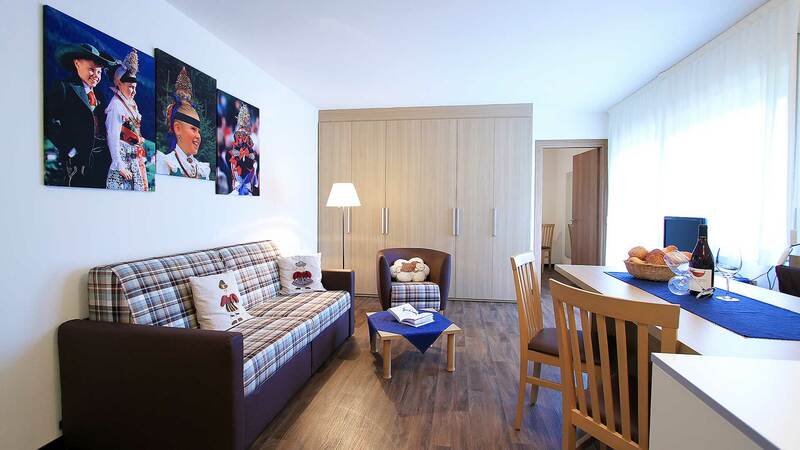 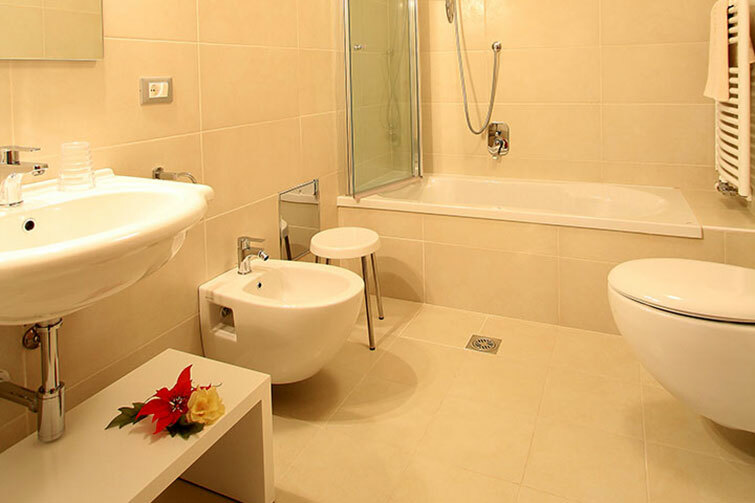 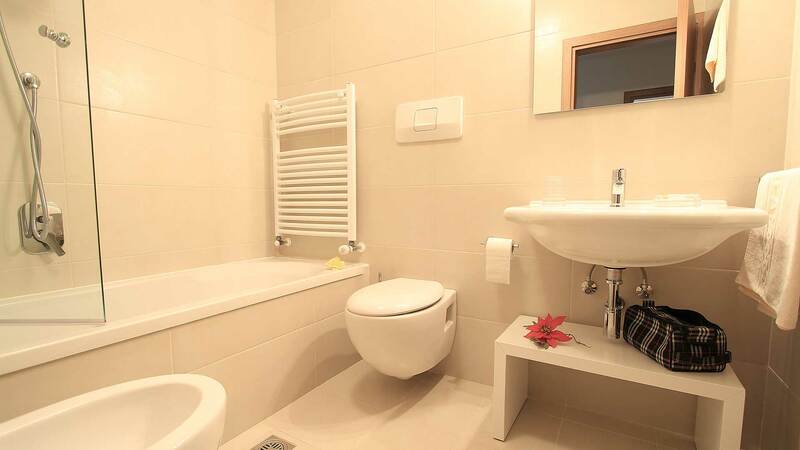 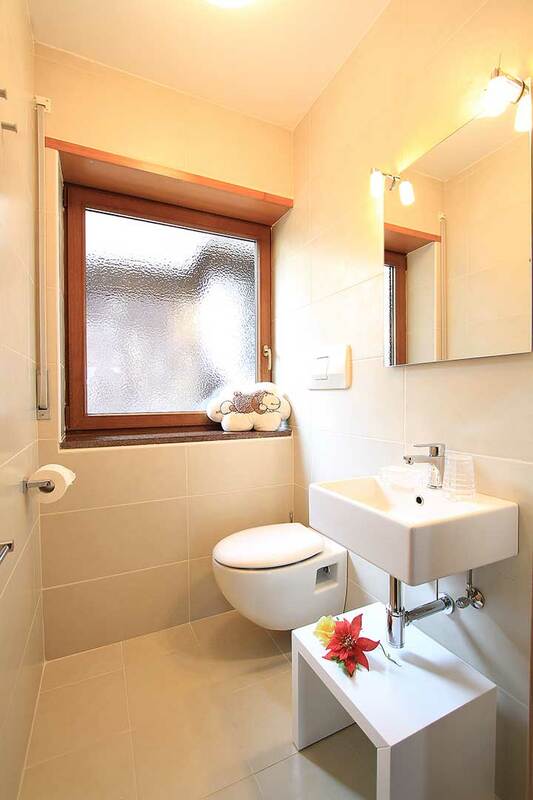 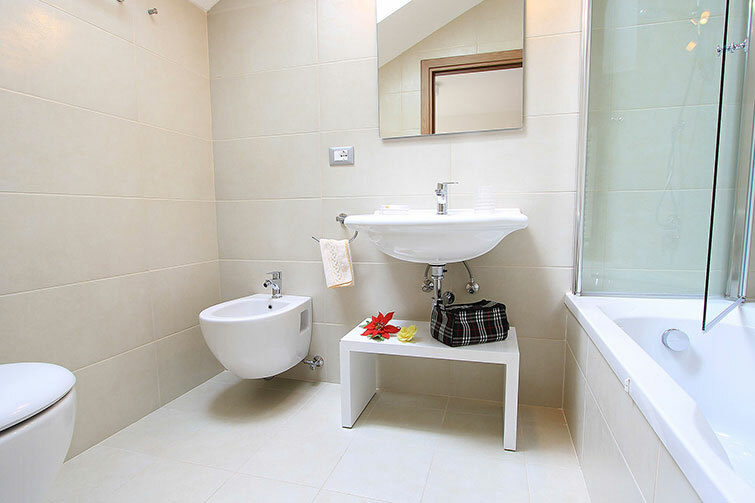 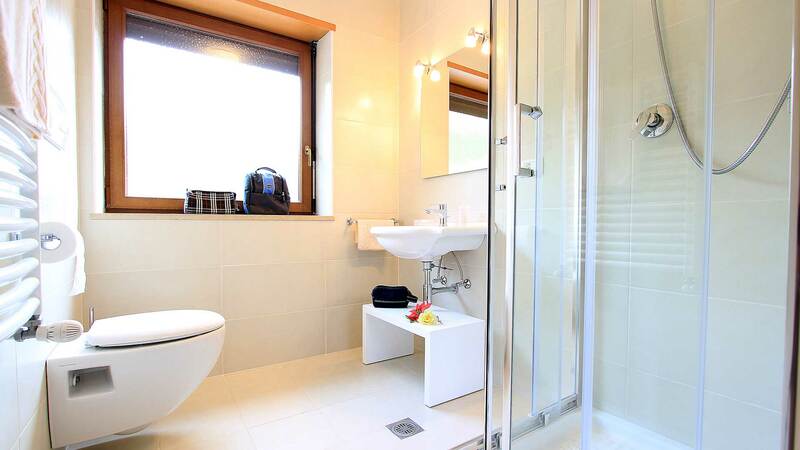 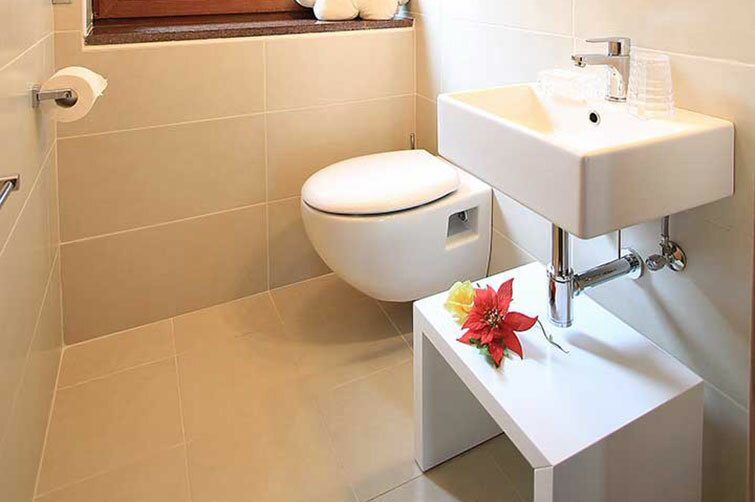 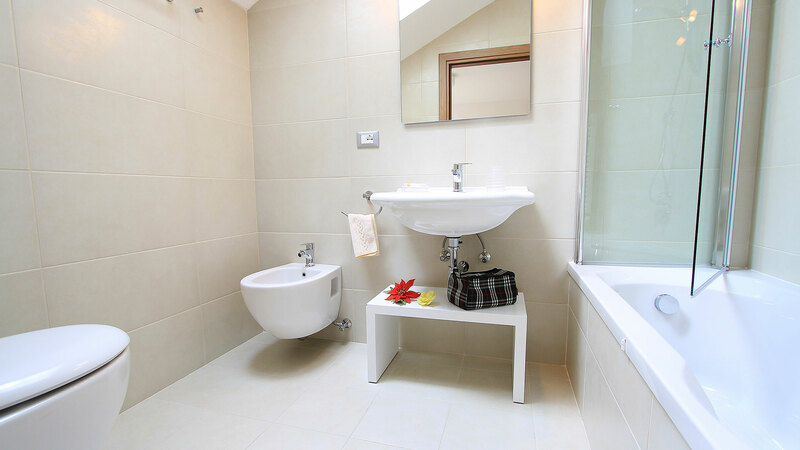 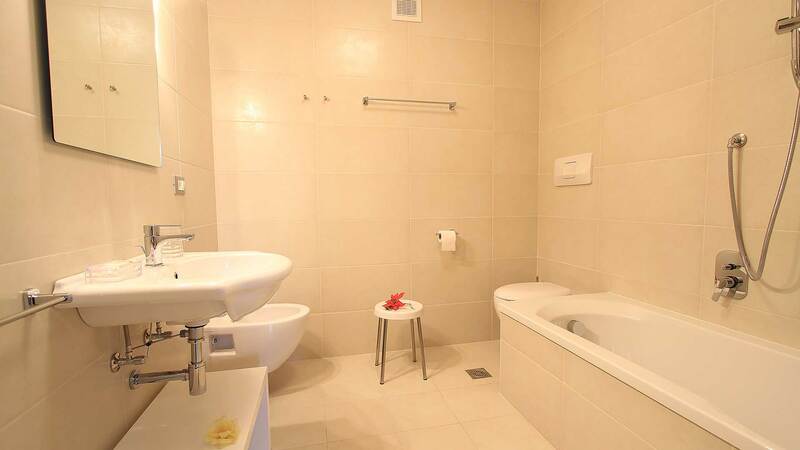 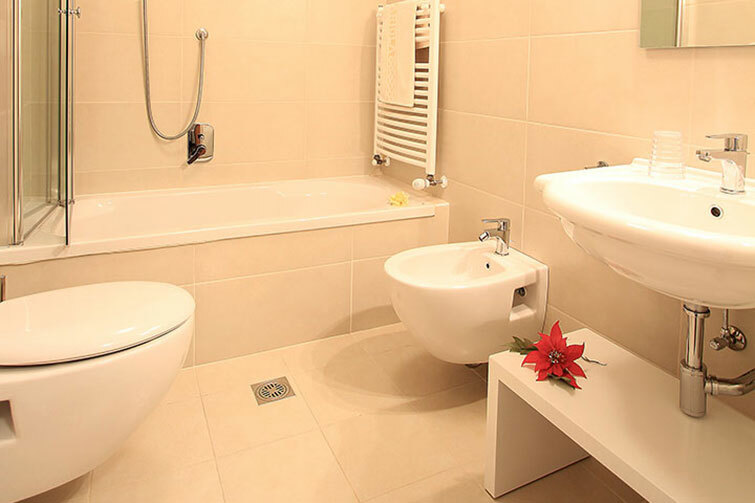 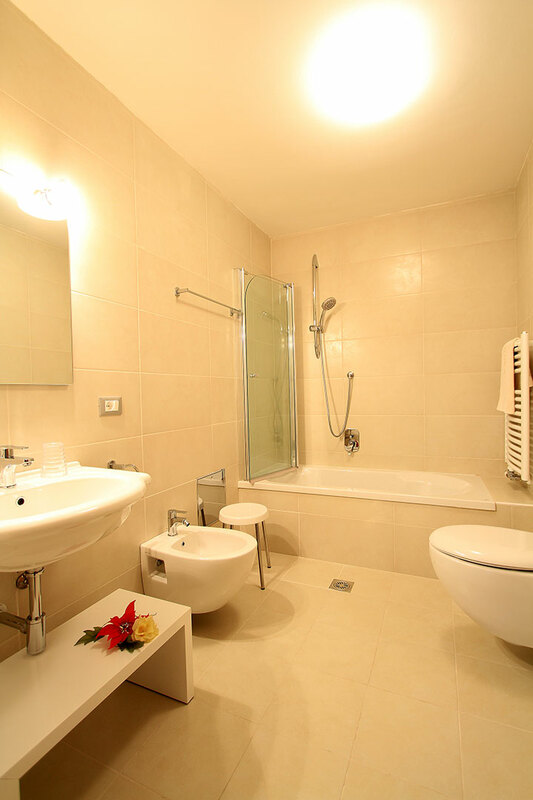 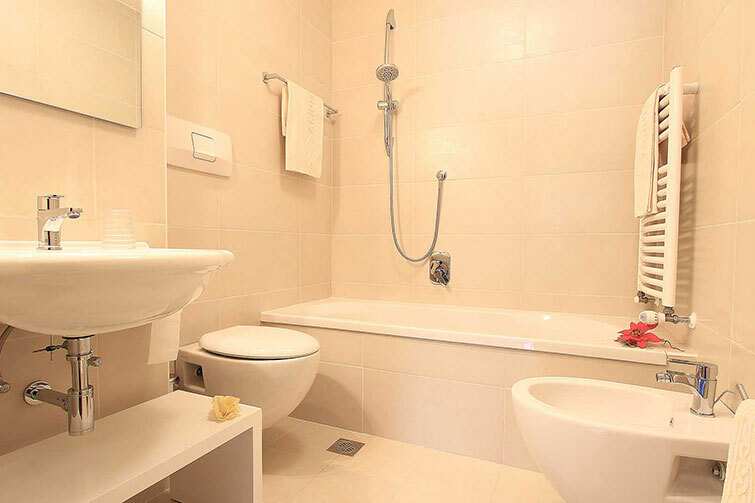 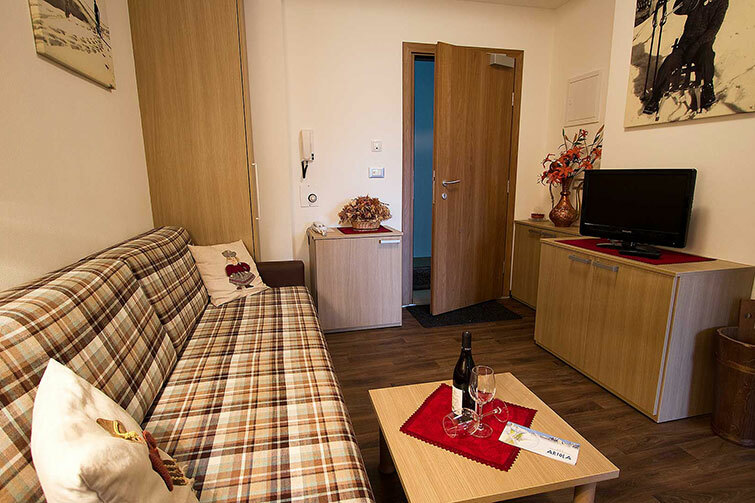 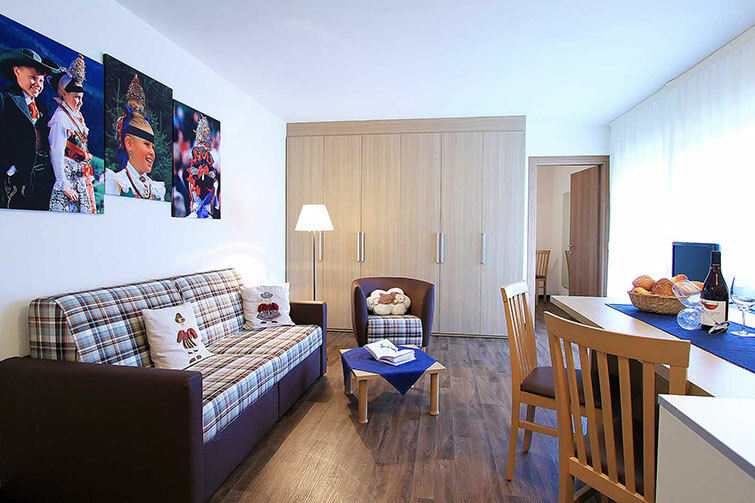 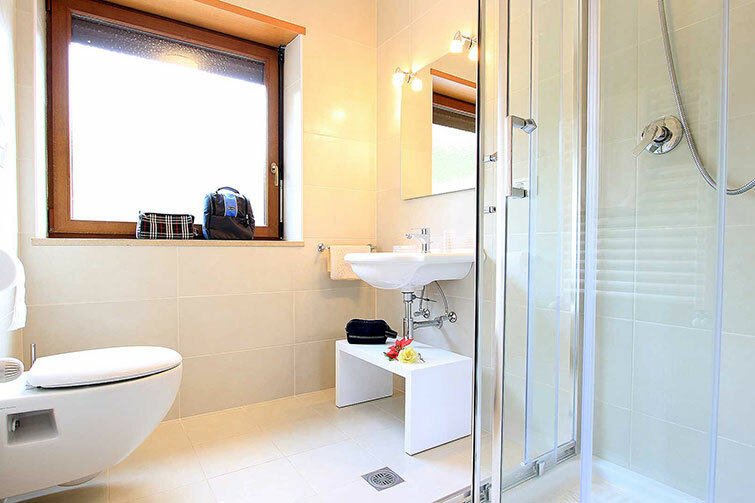 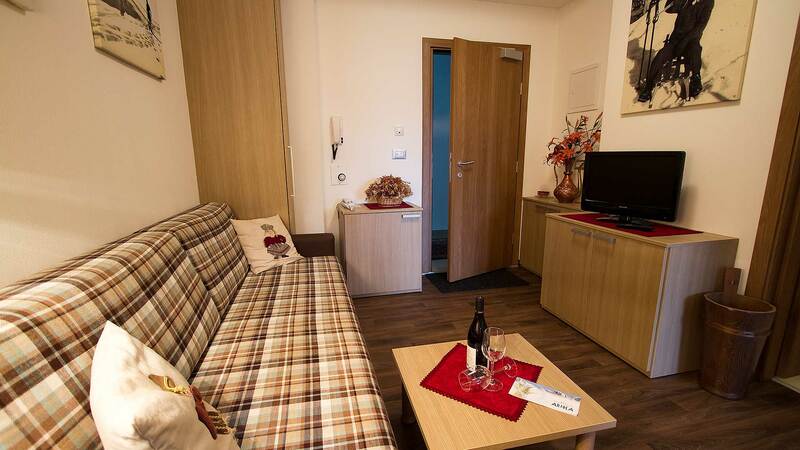 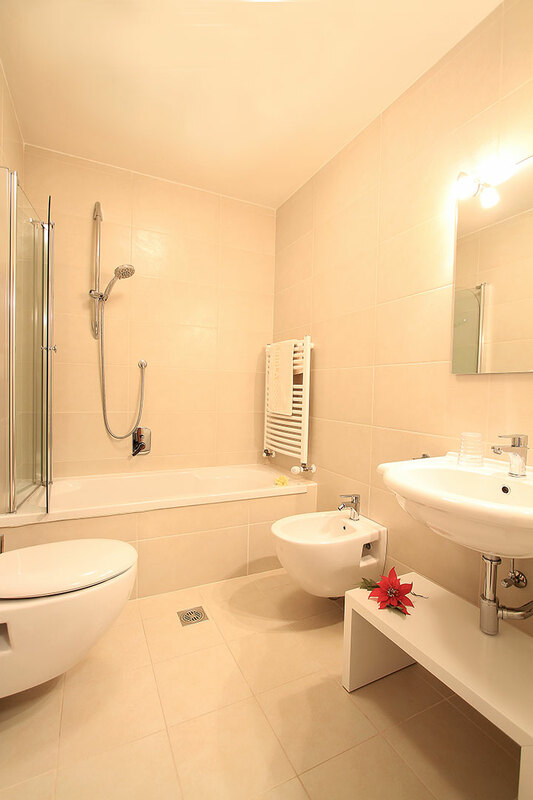 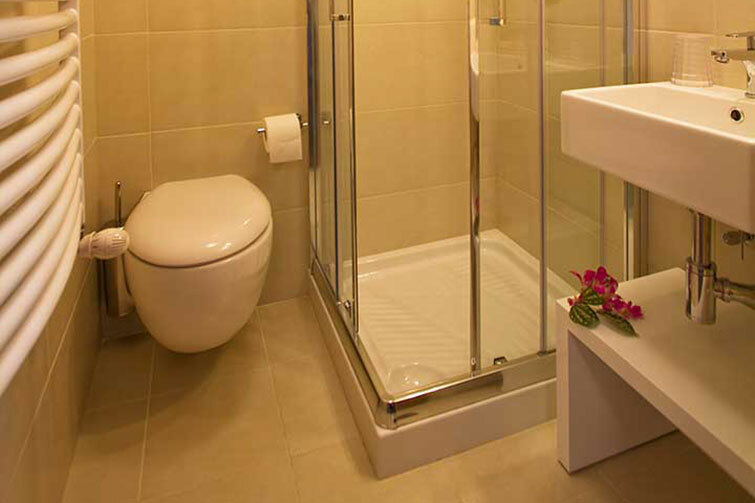 All apartments offer satellite TV, room phones, Wi-Fi, room safe and either a balcony or access to the garden. 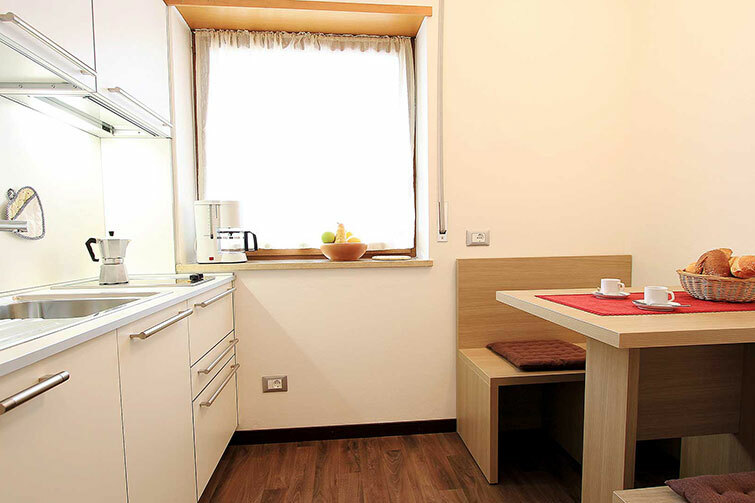 The private park car of Residence Ariola and an elevator, provide for safe and direct access to the apartment. 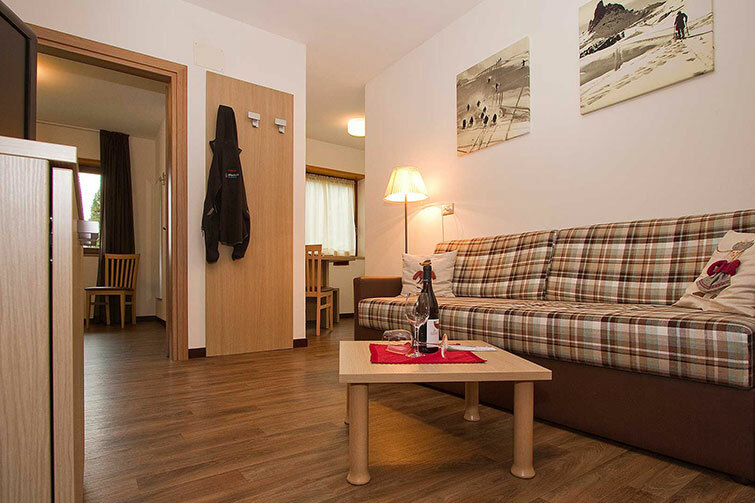 A heated ski room with own ski boxes provides secure storage of the ski equipment. 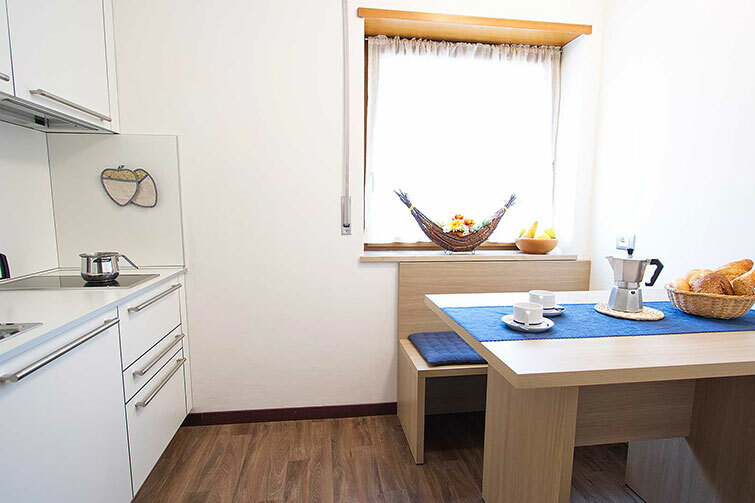 1-2 persons, with double bedroom, bathroom, living kitchen with table, (no dishwasher and no microwave), phone with direct-inward dialing, WiFi, SAT-TV, safe, north east balcony. 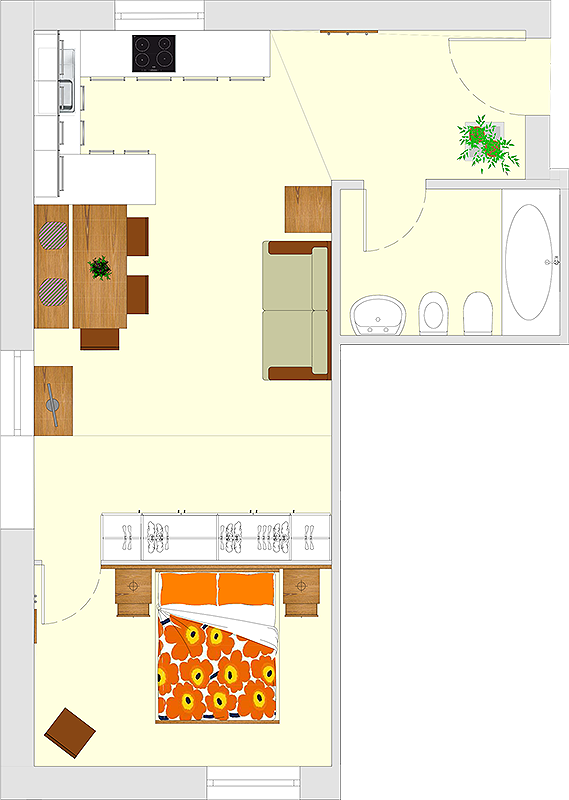 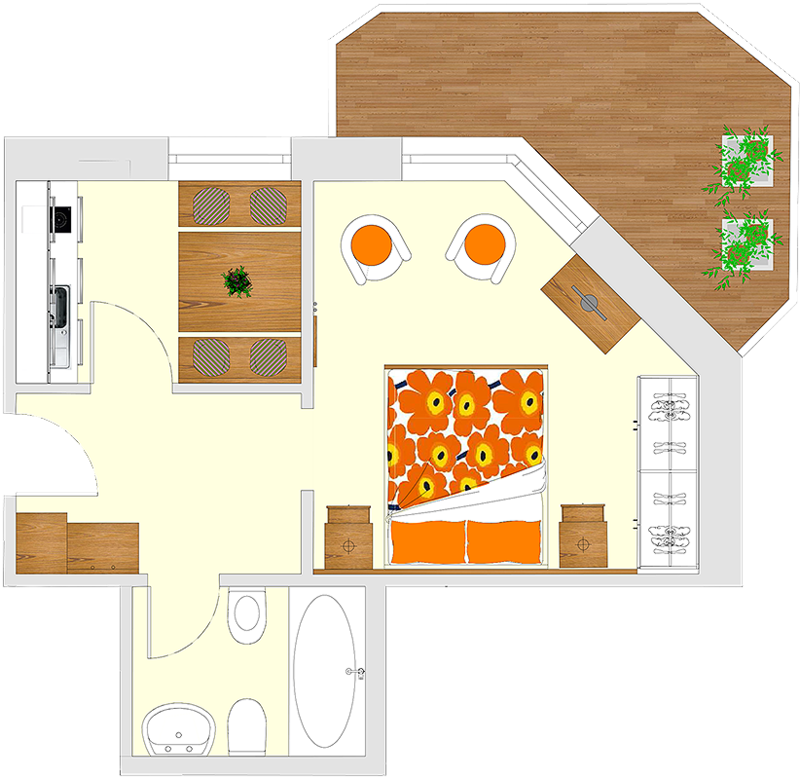 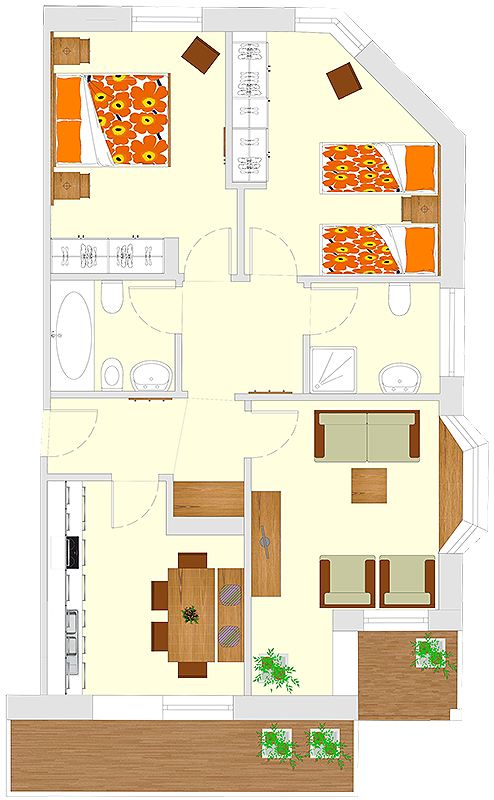 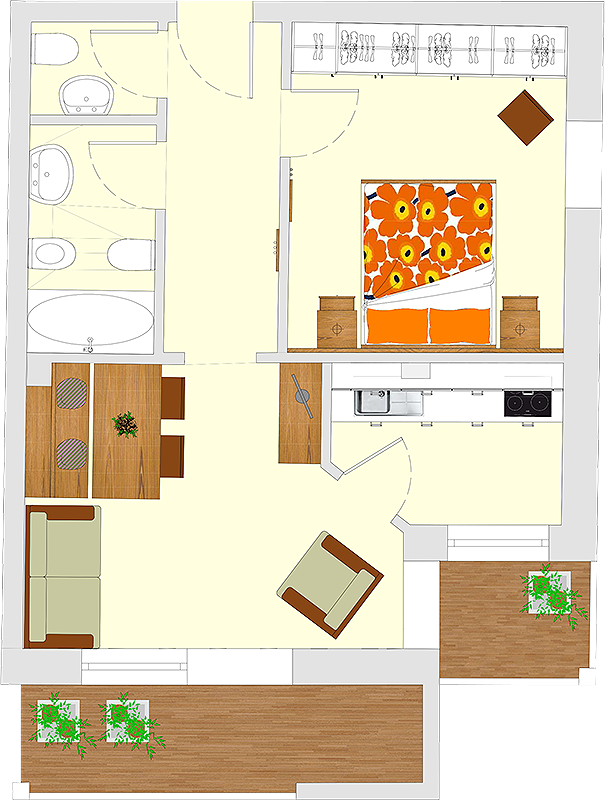 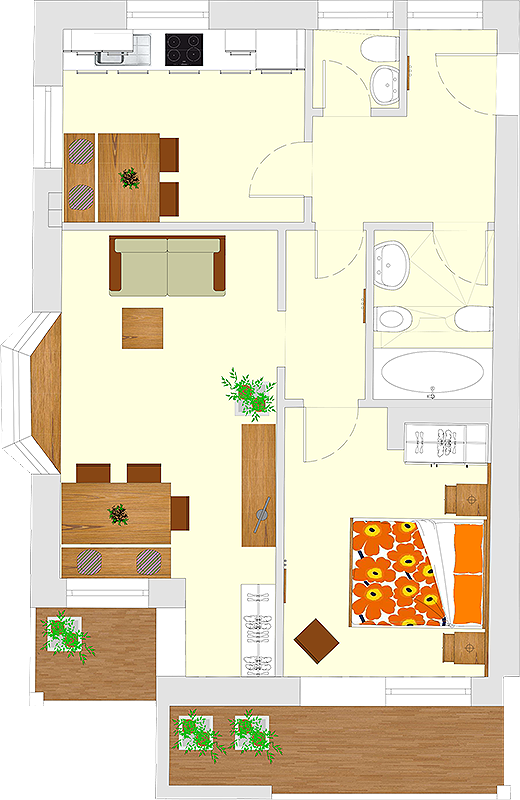 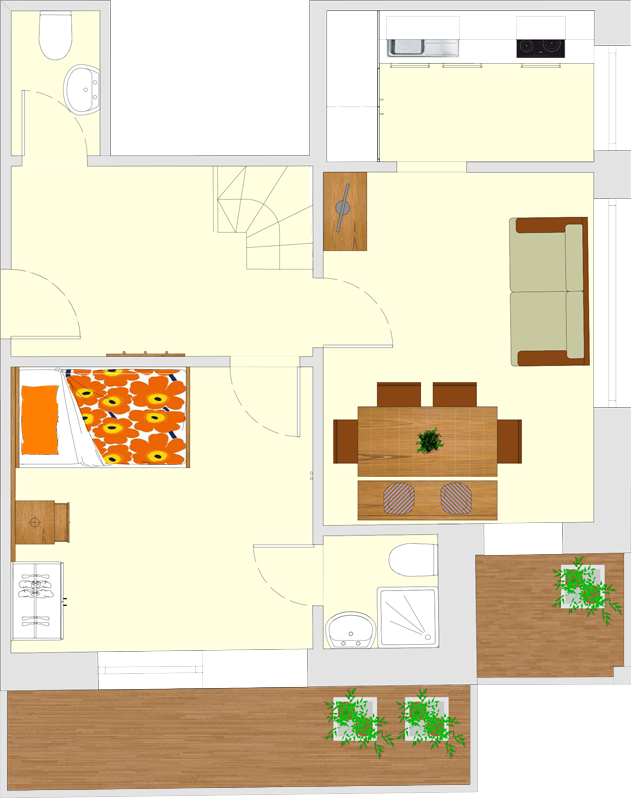 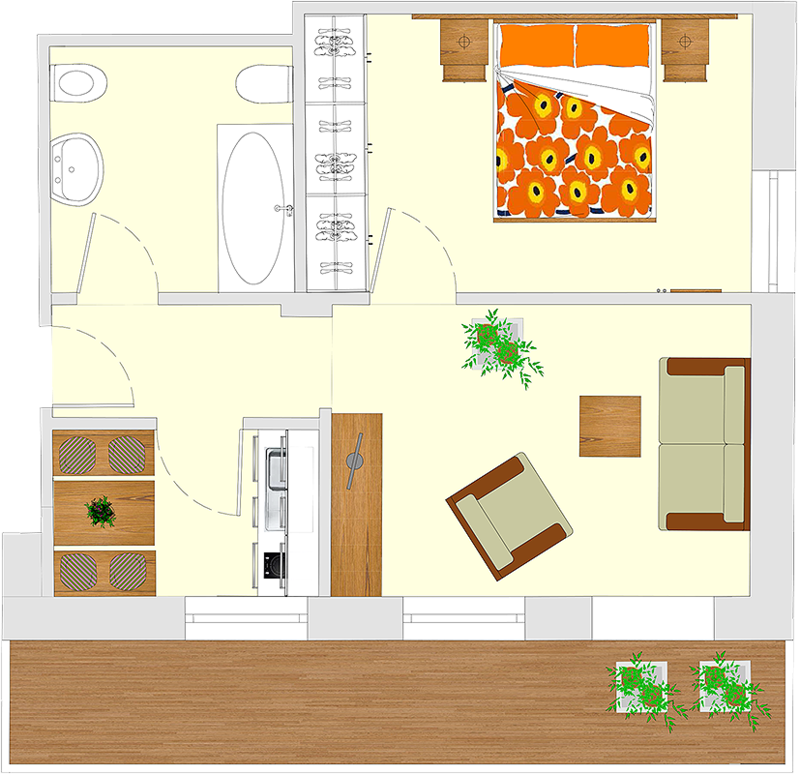 1-2 persons, with double bedroom, bathroom, living kitchen with table, dishwasher and microwave, phone with direct-inward dialing, WiFi, SAT-TV, safe, ground floor - no balcony. 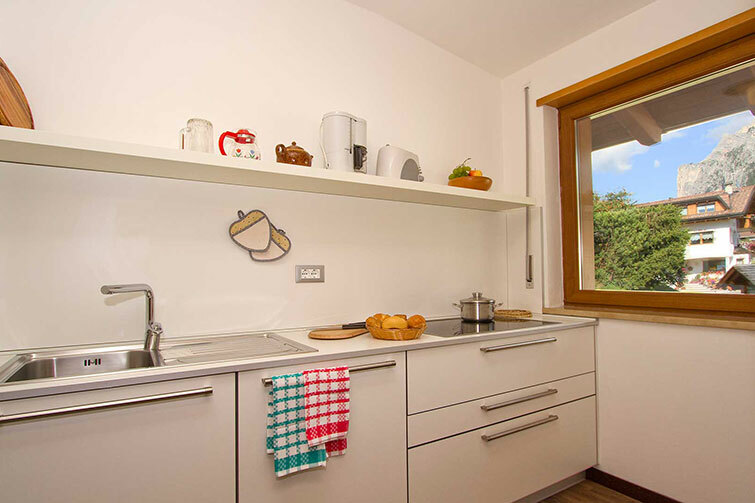 2 persons, with double bedroom, living room with kitchenette, with table, with dishwasher and microwave, bathroom, phone with direct-inward dialing, WiFi, SAT-TV, safe, sunny south and west facing garden, with view to the mountains Gruppo del Sella and Sassolungo. 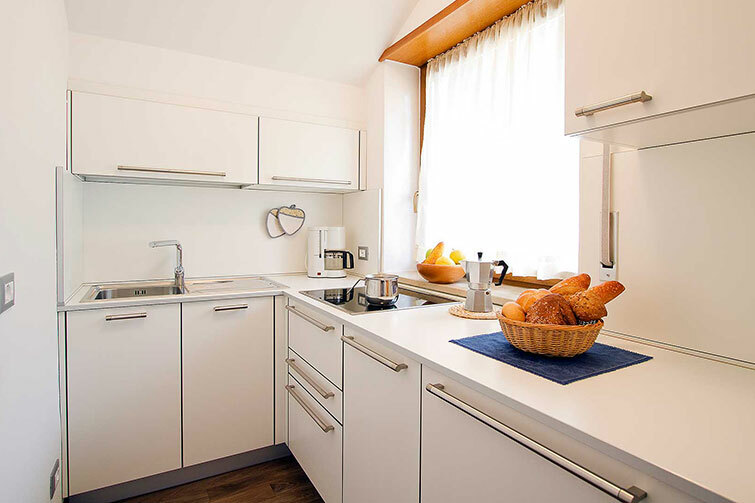 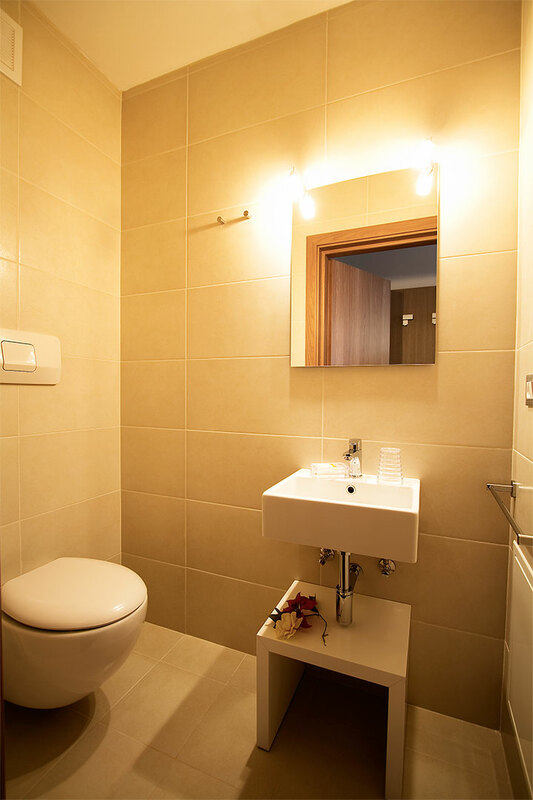 2 persons, with double bedroom, bathroom, living room, living kitchen with table, (no dishwasher and no microwave), phone with direct-inward dialing, WiFi, SAT-TV, safe, sunny east and south facing balcony, with view to the mountains Gruppo del Sella and Sassolungo. 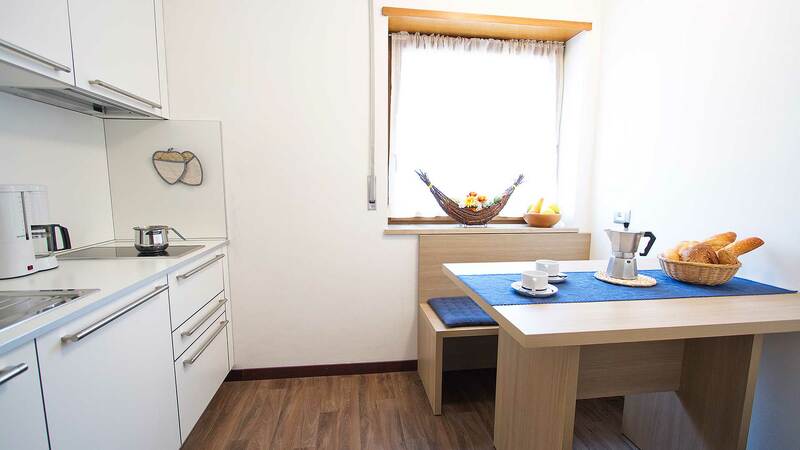 3 persons, with double bedroom, living room with a day bed, bathroom + extra day toilette, kitchen (no dishwasher no microwave), phone with direct-inward dialing, WiFi, SAT-TV, safe, sunny east and south facing balcony, with view to the mountains Gruppo del Sella and Sassolungo. 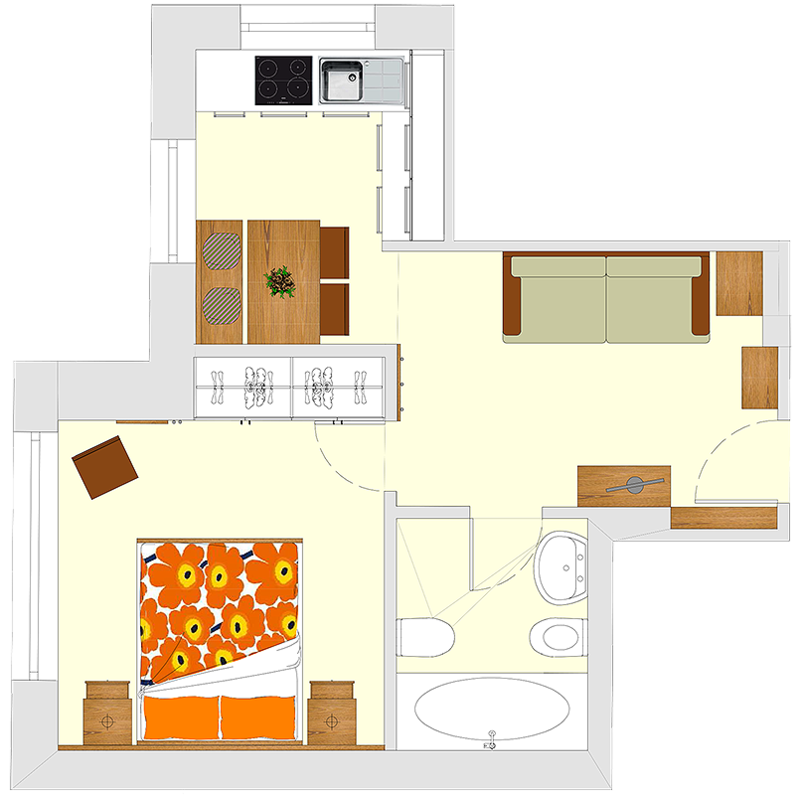 3 persons, with double bedroom, living room with a day bed, bathroom + extra day toilette, kitchen with dishwasher ( no microwave), phone with direct-inward dialing, WiFi, SAT-TV, safe, north and sunny west facing balcony. 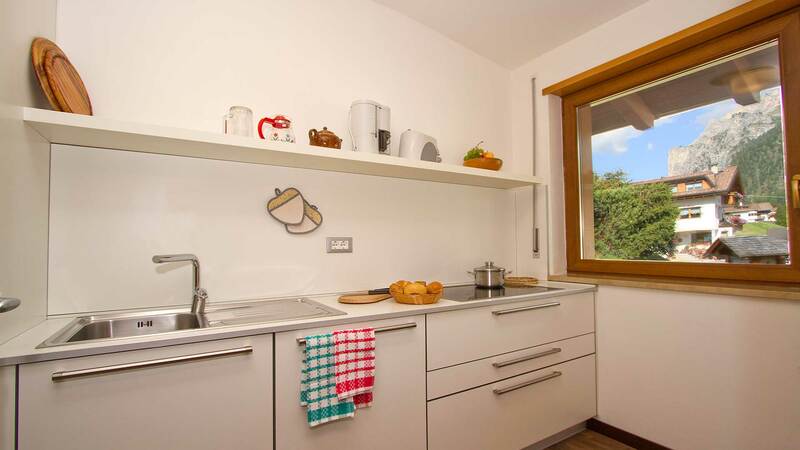 4 persons, with double bedroom, living room with a day bed, bathroom + extra day toilette, living kitchen with table, dishwasher and microwave, phone with direct-inward dialing, WiFi, SAT-TV, safe, sunny east and south facing garden with own entrance, with view to the mountains Gruppo del Sella and Sassolungo. 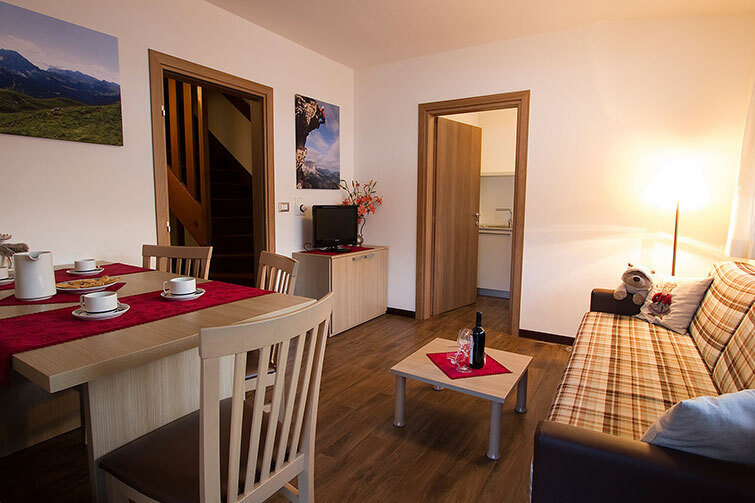 4 persons, with double bed room, living room with a day bed , bath room + extra day toilette, living kitchen with table, with dishwasher (no microwave), phone with direct-inward dialing, WiFi, SAT-TV, safe, sunny south and west facing balcony, with view to the mountains Gruppo del Sella and Sassolungo. 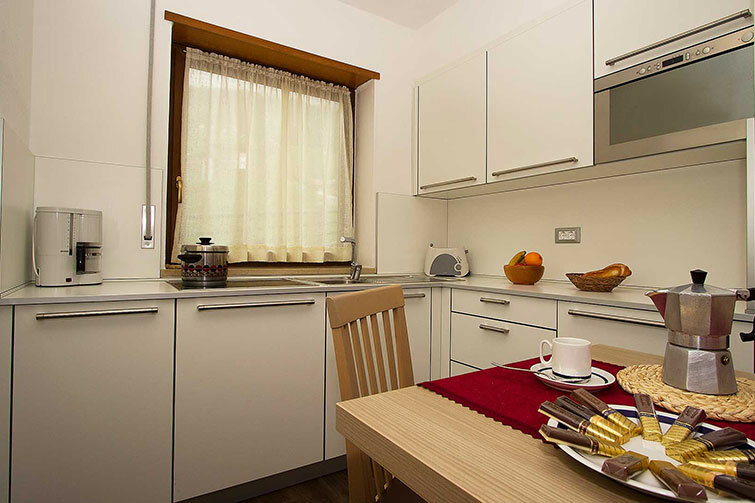 4-6 persons, with double bed room, twin bed room, living room with a day bed, 2 bath rooms, separate living kitchen with table, with dishwasher and microwave, phone with direct-inward dialing, WiFi, TV-SAT, safe, sunny east and south facing balcony with view to the mountains Gruppo del Sella and Sassolungo. 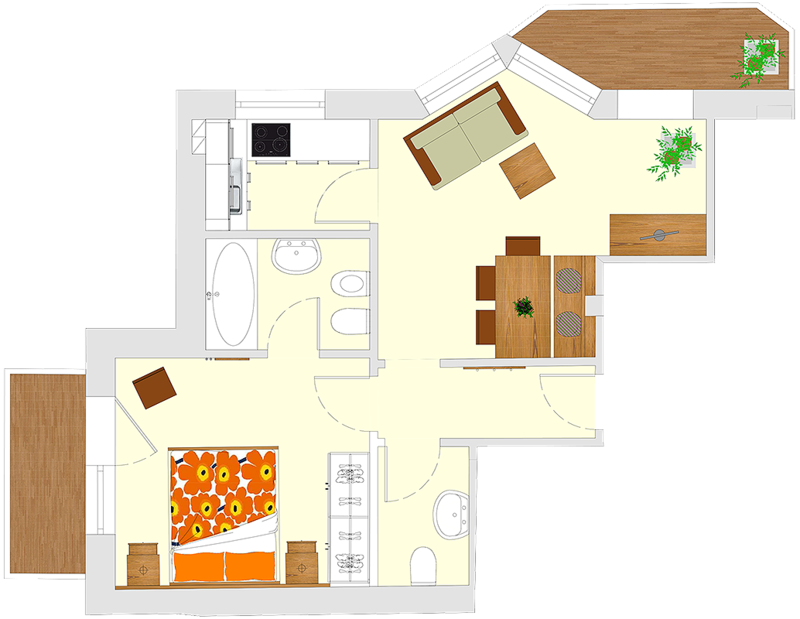 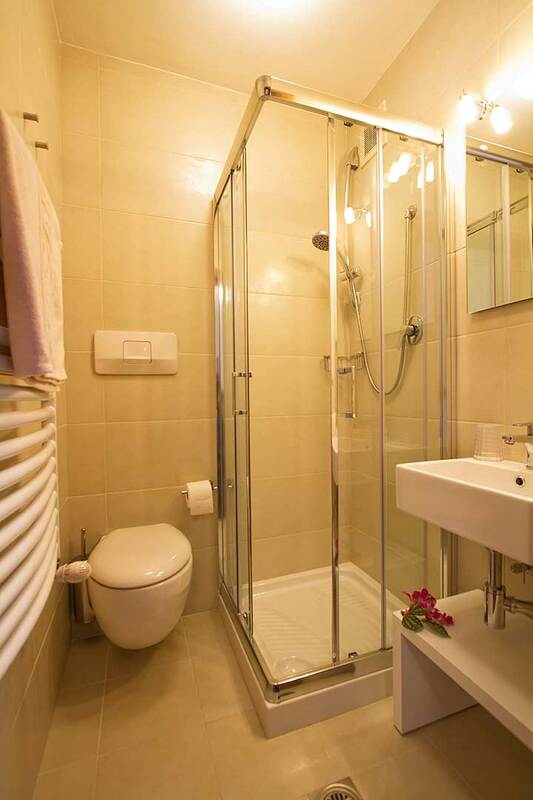 5 persons, on 2 ground floors: with double bed room, twin bed room, bath room; one king size bed room (1,40 x 1,90 m), bathroom, living room, kitchen with dishwasher and microwave, phone with direct-inward dialing, WiFi, TV-SAT, safe, sunny east and south facing balcony, with view to the mountains Gruppo del Sella and Sassolungo.